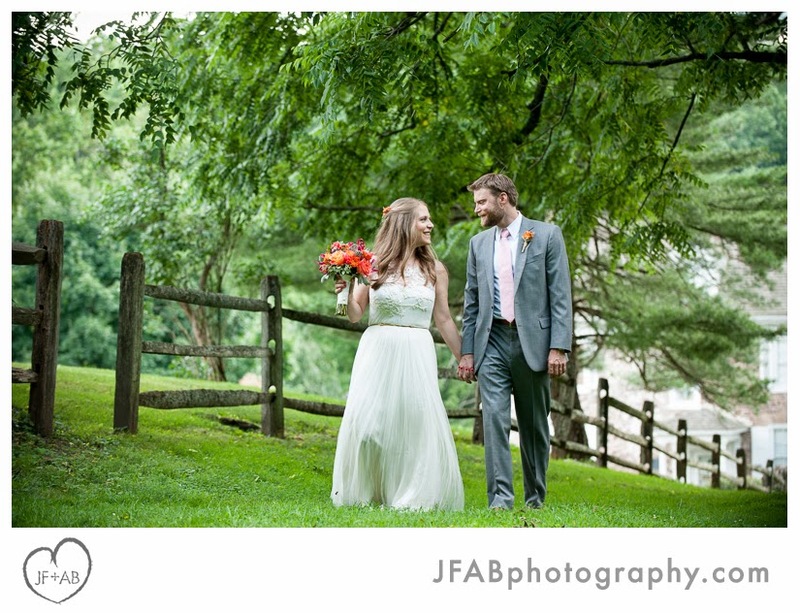 Claire and Tommy had a fun and romantic wedding at the Audubon Center near Philadelphia. 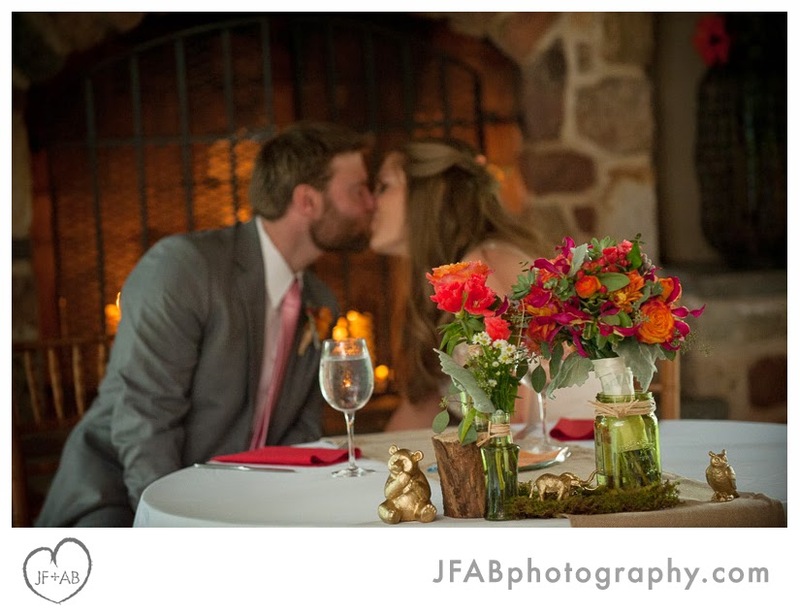 I got to know them a bit at their engagement session in Jim Thorpe earlier this year. 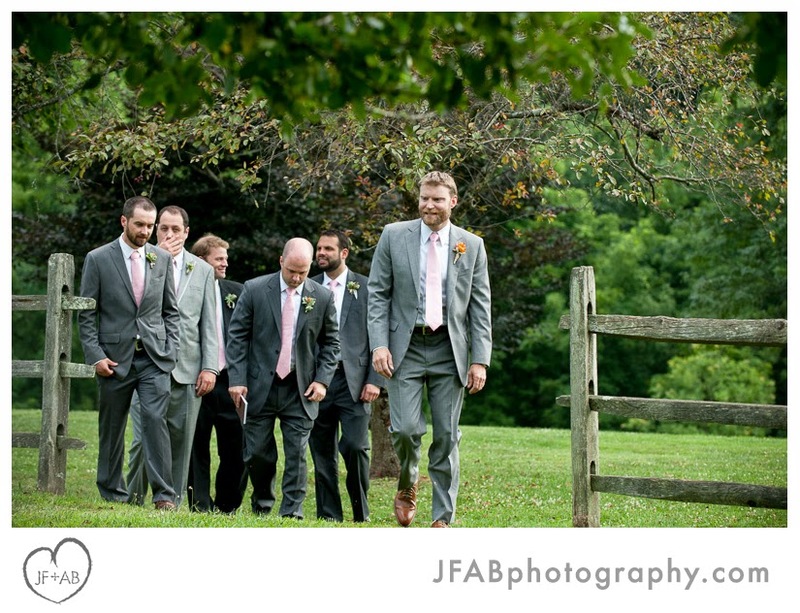 They love the outdoors and have an adventurous side, so the John. 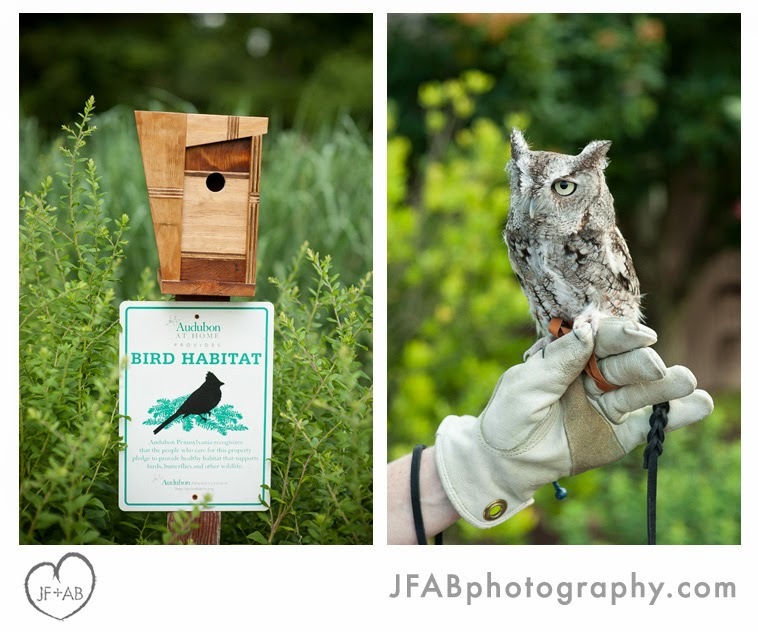 J Audubon Center was a great fit. 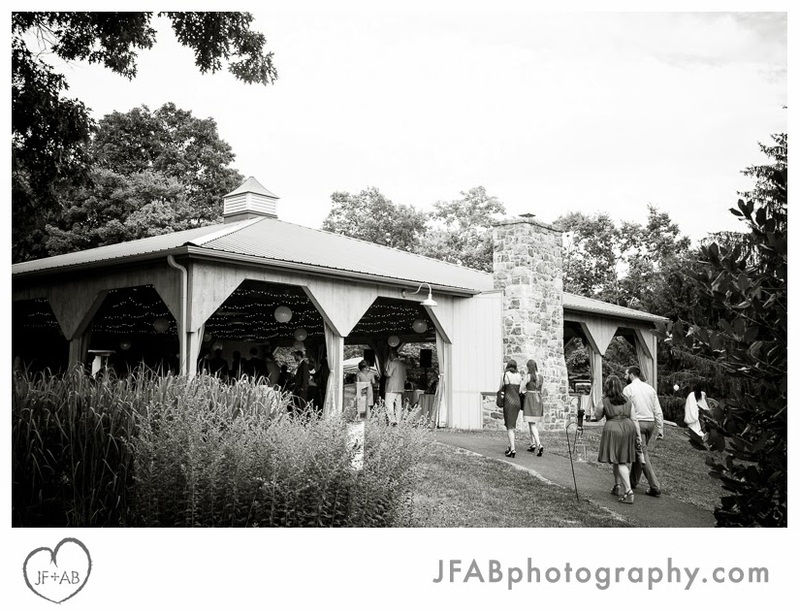 It had historic buildings, a rustic pavilion and barn and gorgeous grounds teeming with wildlife. 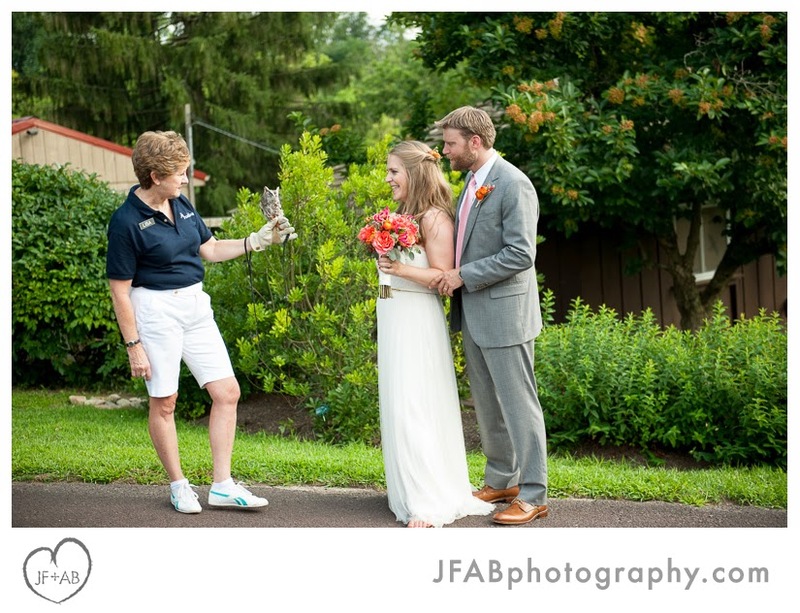 They had a tiny barn owl stop by their cocktail hour and a few deer made a cameo appearance later on during their reception. 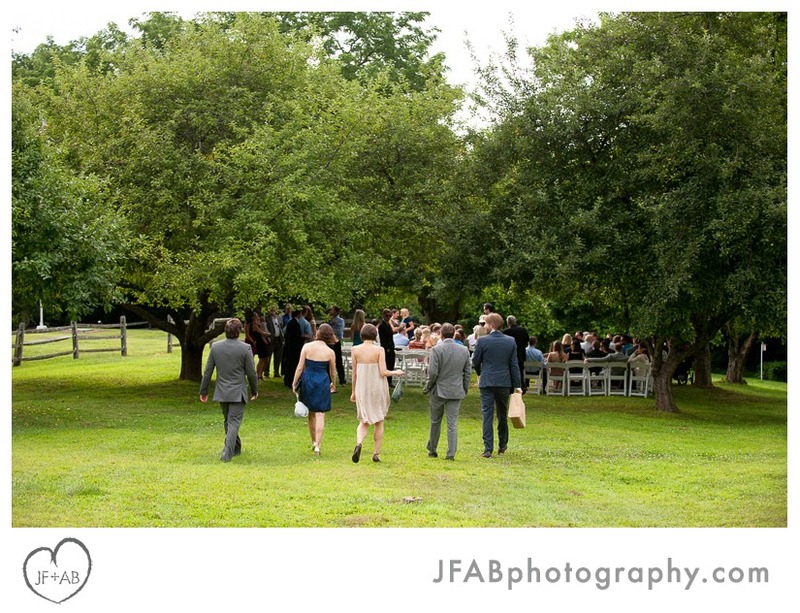 Their ceremony was hosted in an old orchard. 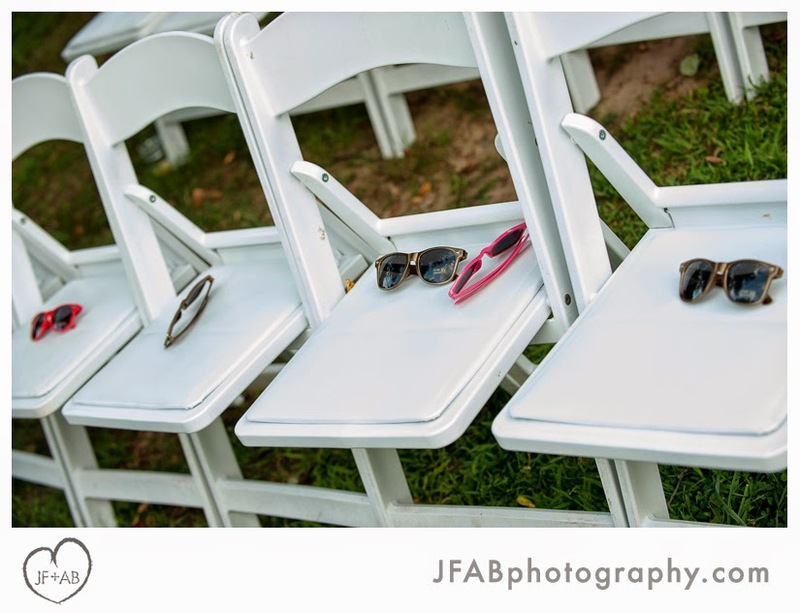 It was a fun touch that they put out colorful sunglasses for guests to shade their eyes while viewing the ceremony in the late-afternoon sun. 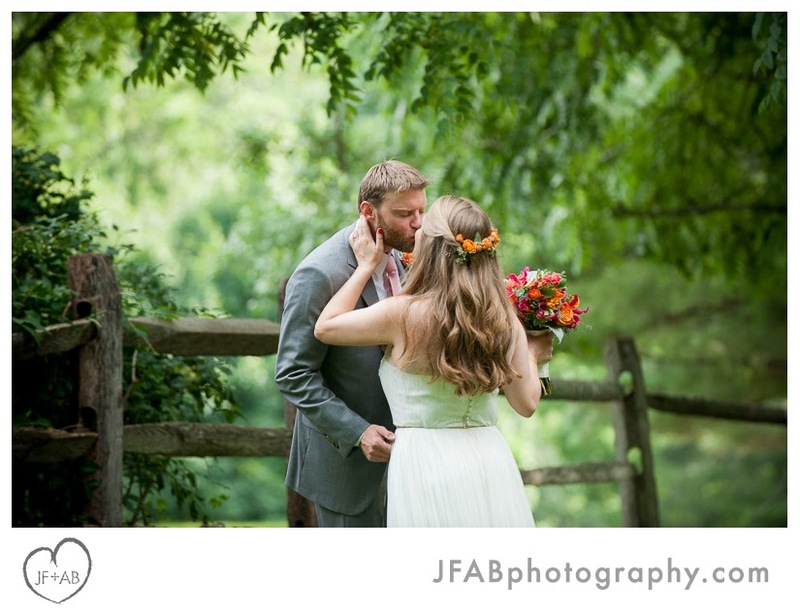 Claire's dress was beautiful - very bohemian and perfect for the setting. 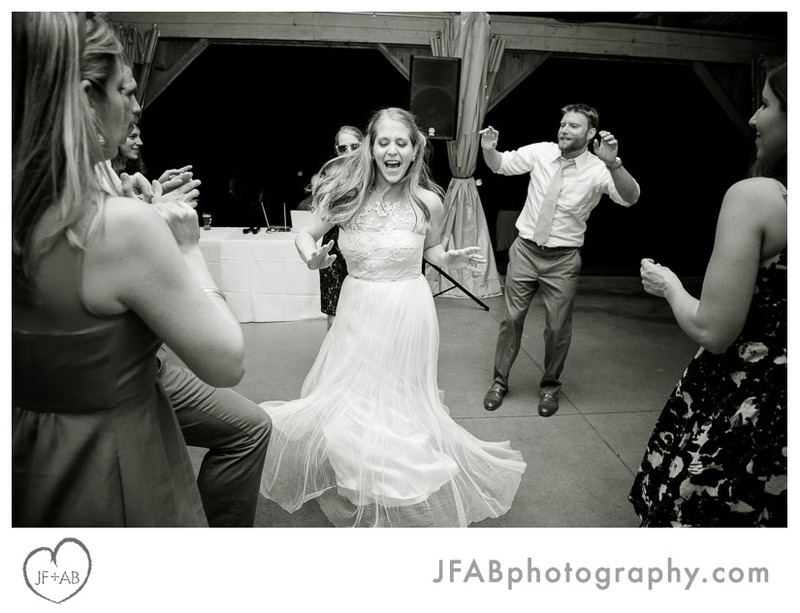 Although their main priority was to have a big party and be in the moment with their nearest and dearest, Claire and Tommy allowed themselves to have fun with the details. 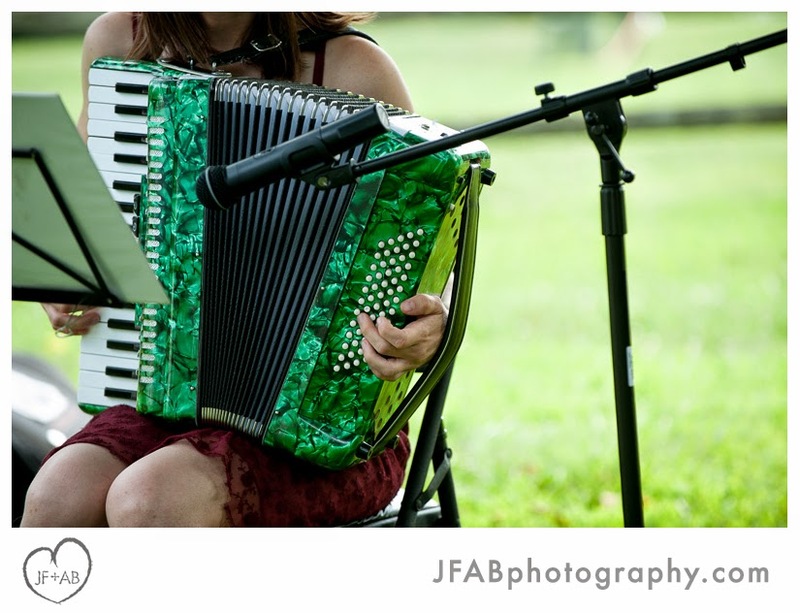 A friend played accordion for their processional. 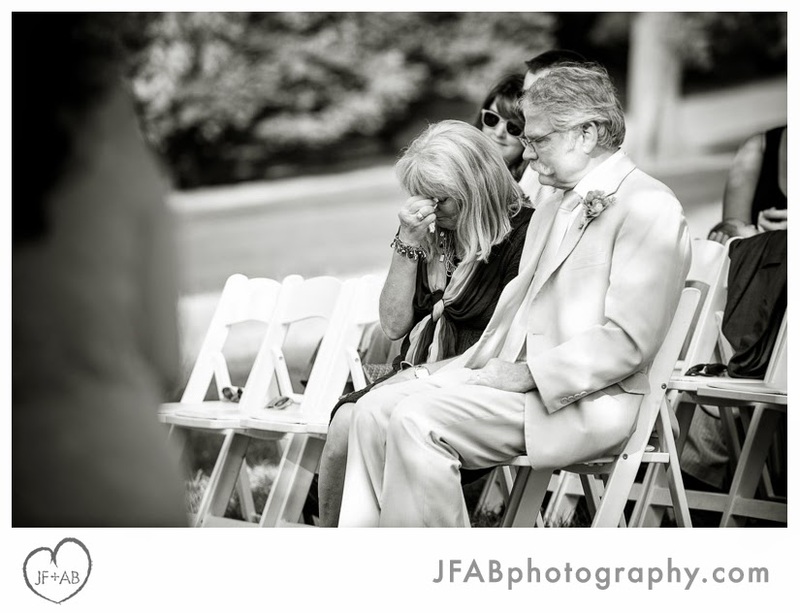 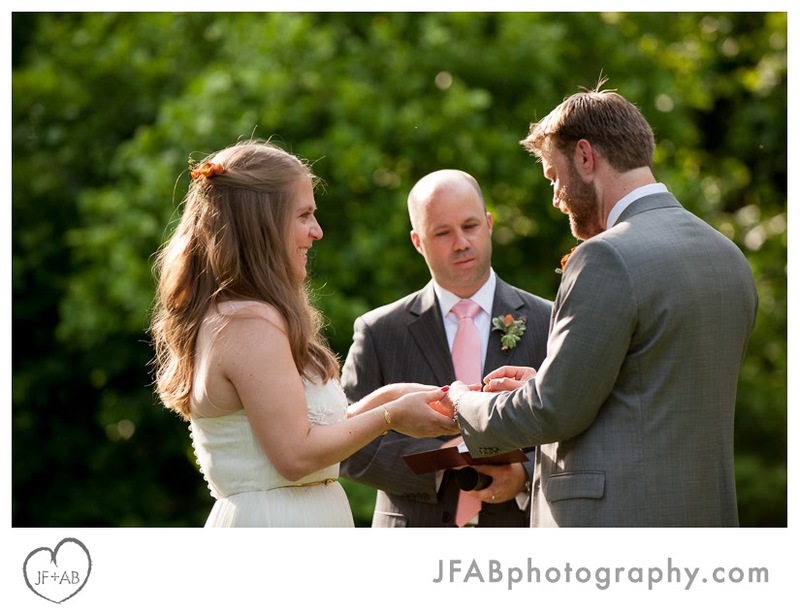 The readings and vows were very sweet, moving guests to both laughter and tears. 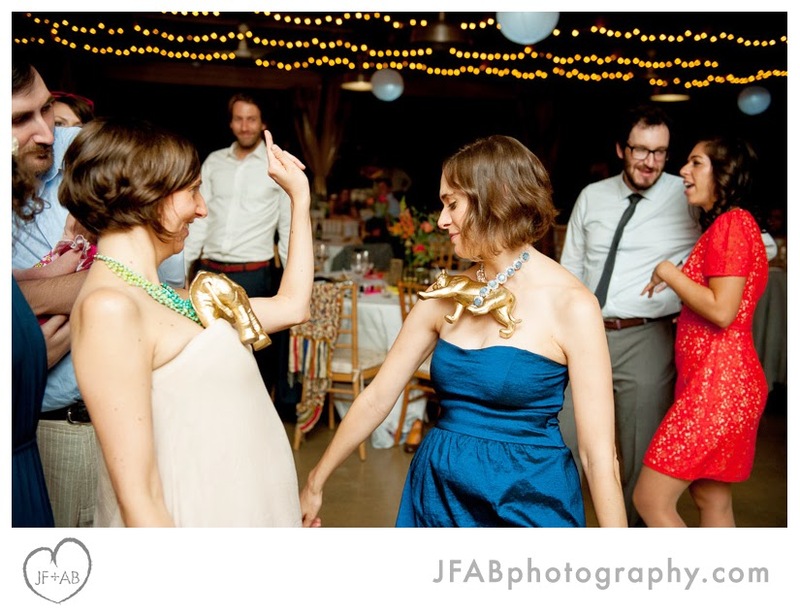 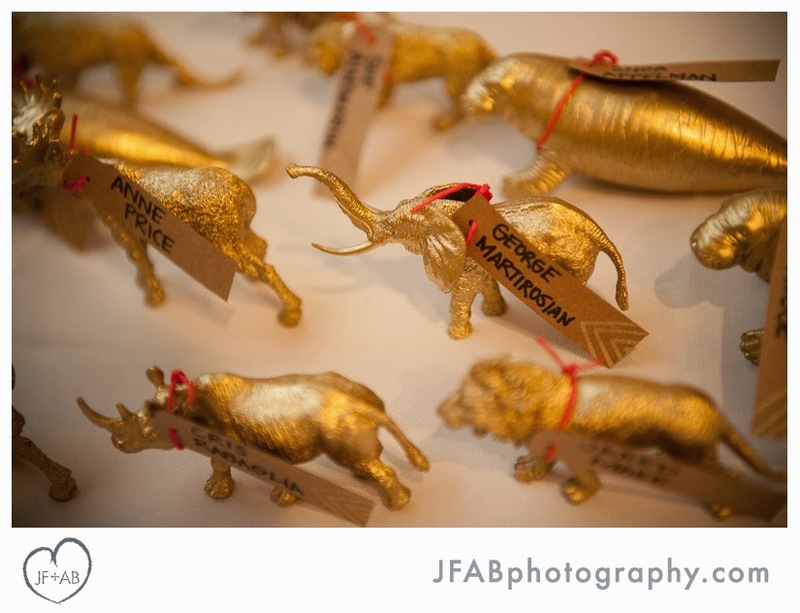 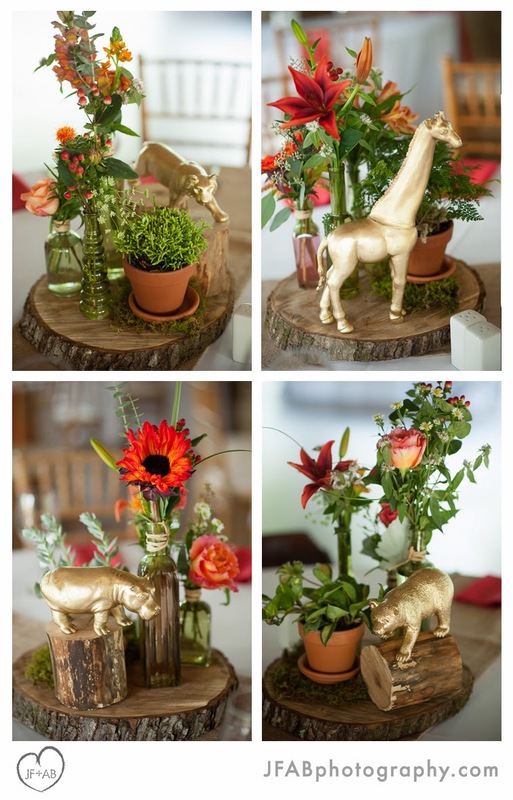 In lieu of table numbers, they got crafty and labeled the tables with gold-painted wild animals and assigned guests to tables by hanging place cards around the necks of corresponding figurines. 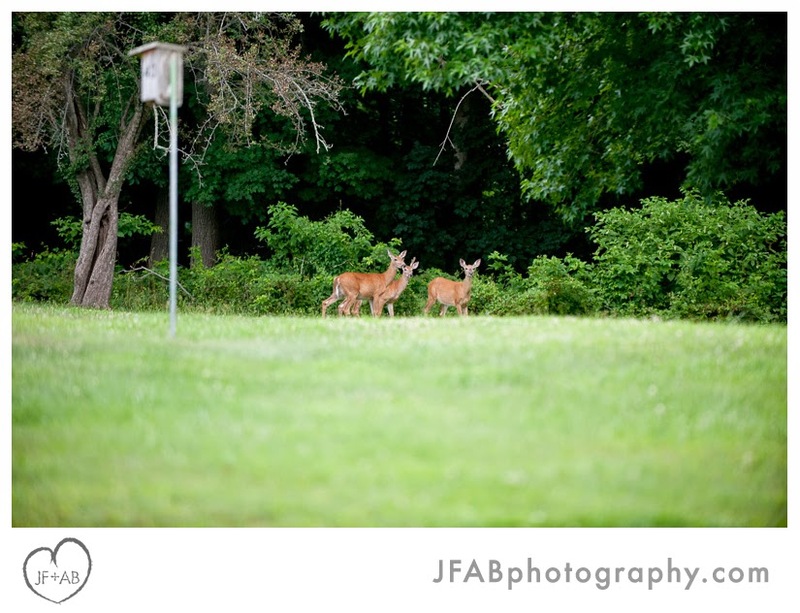 Apparently they spent enough time on the project to grow quite attached to those little guys! 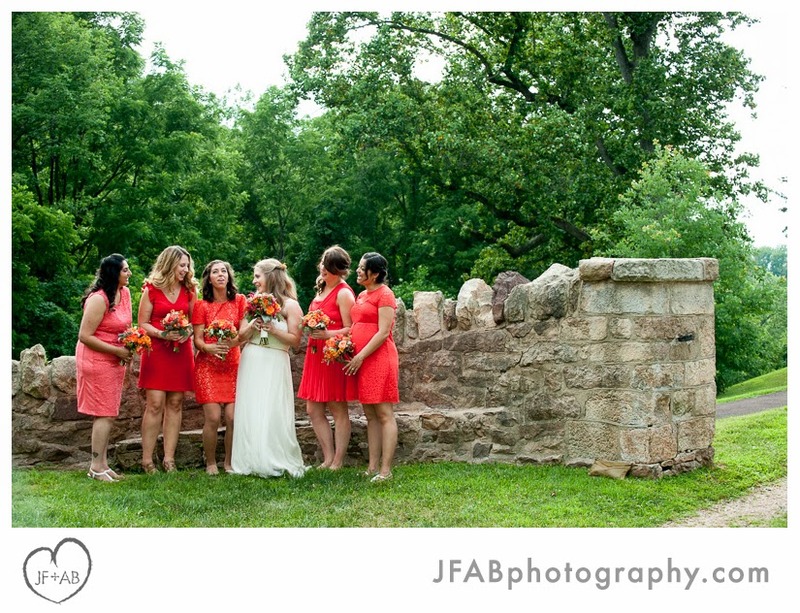 I (Amber) shot this one solo with the help of sherpa Shawn McCartey (thanks Shawn!). 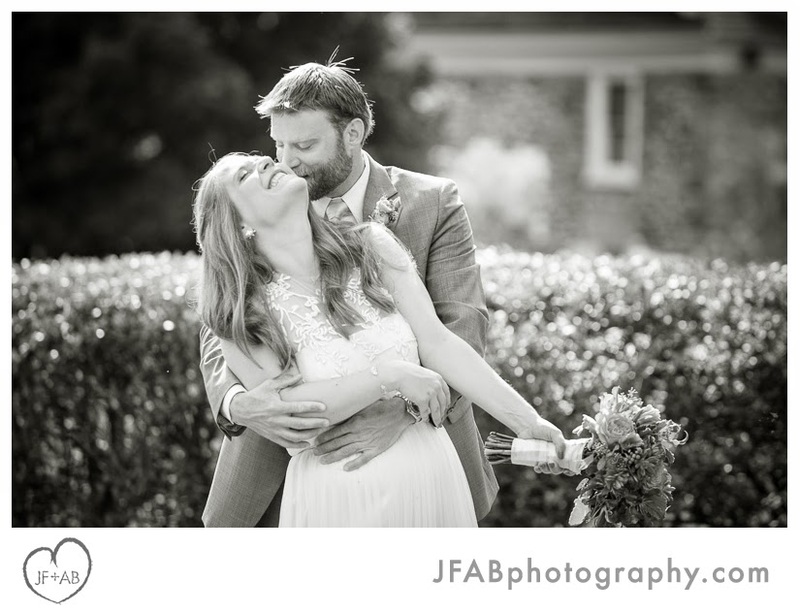 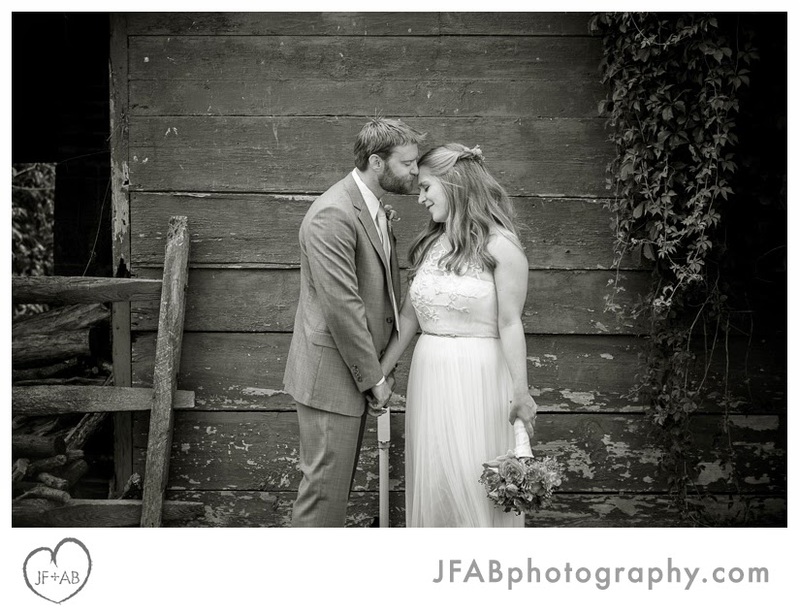 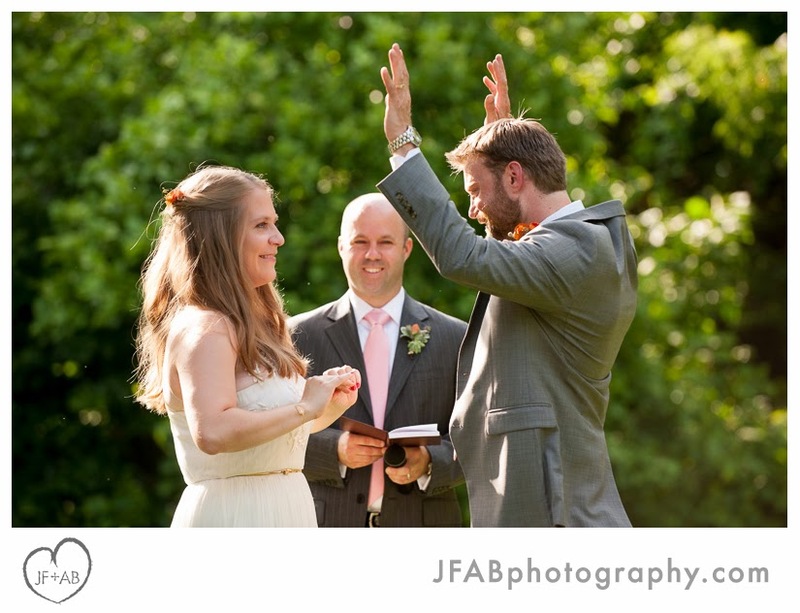 Thank you Claire and Tommy for making us feel welcome and for trusting me to photograph your day. 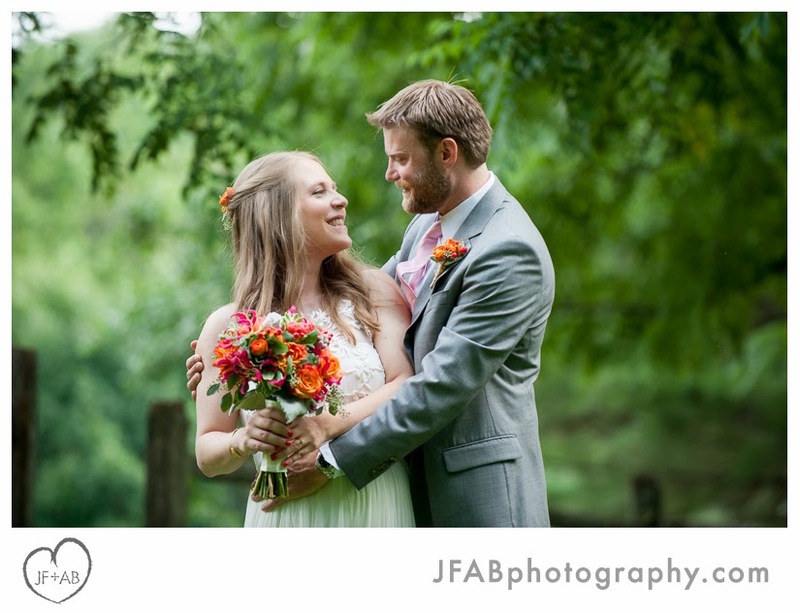 Scroll on to check out some of my favorite photos! 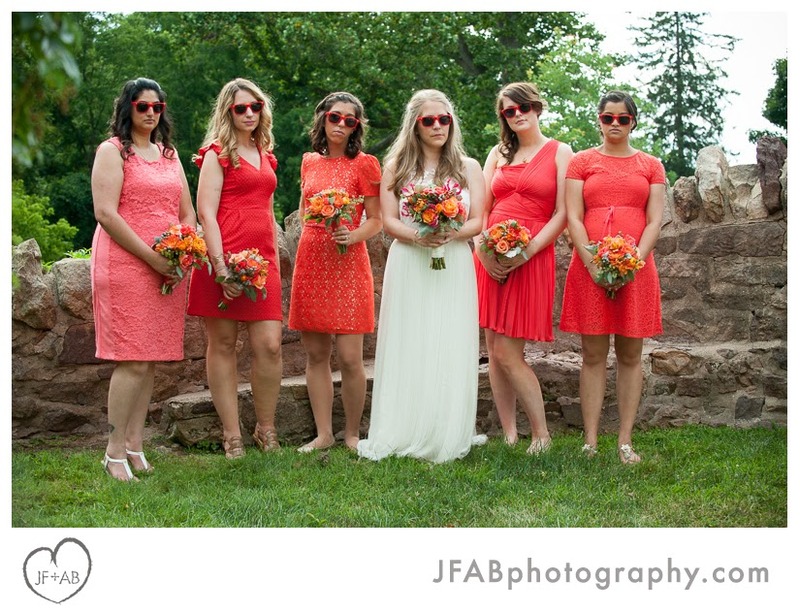 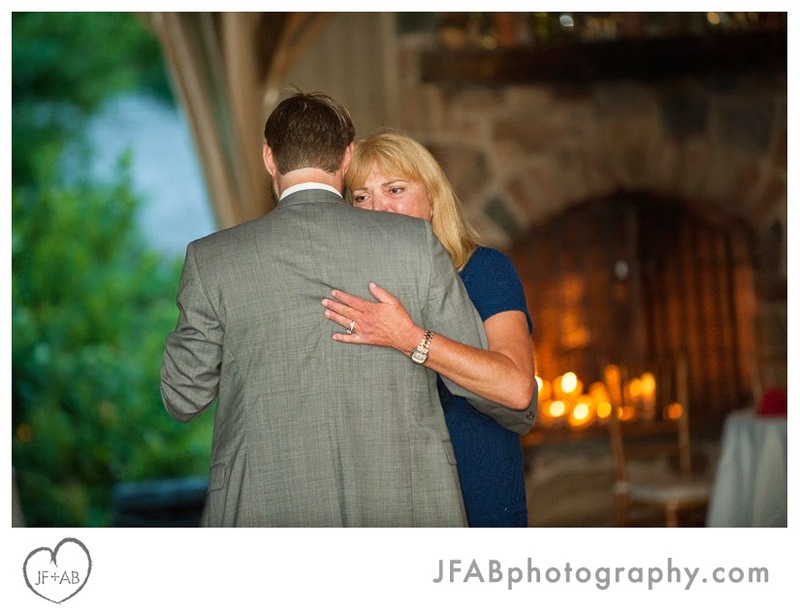 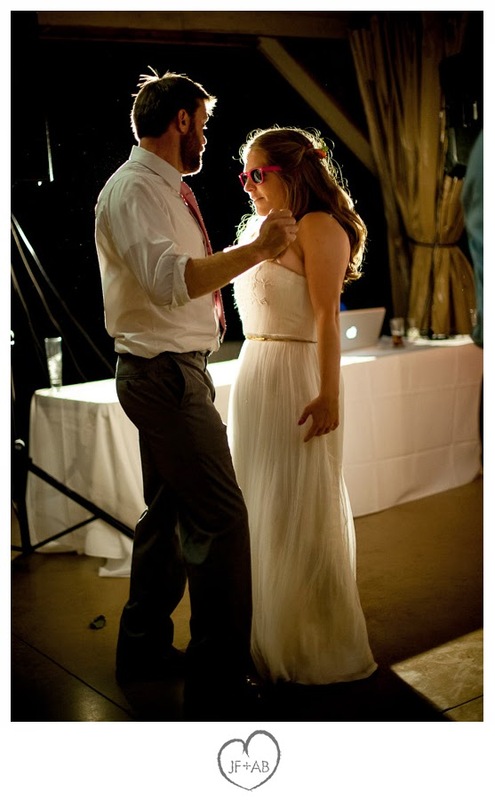 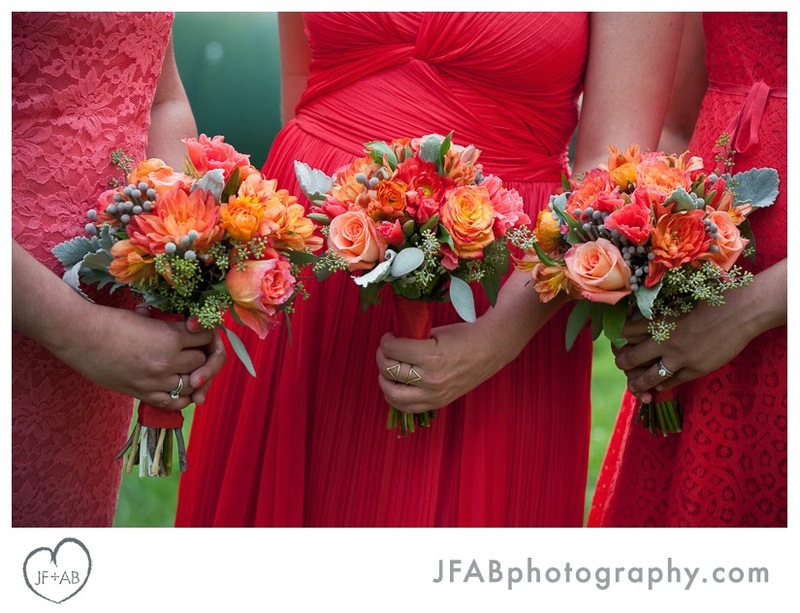 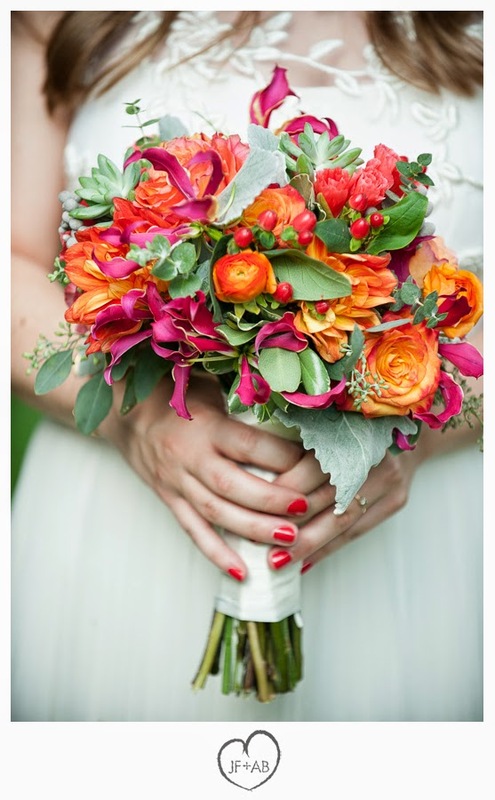 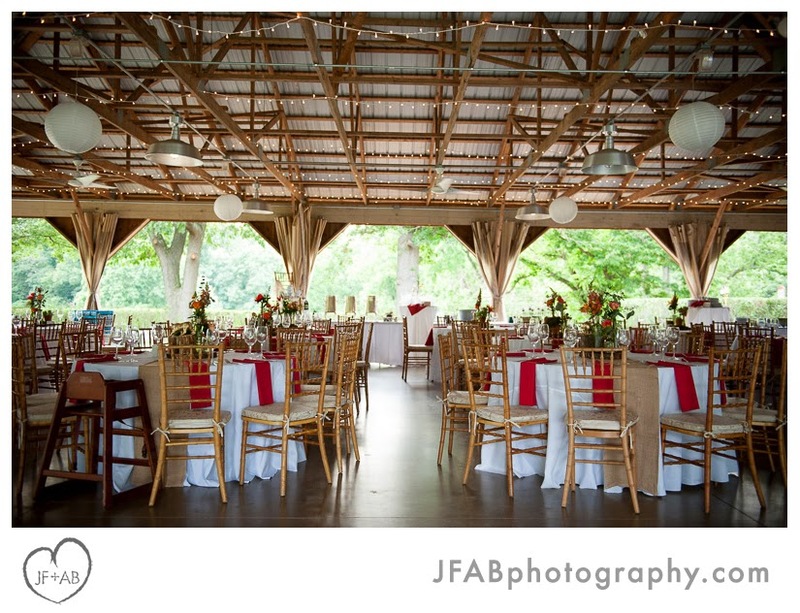 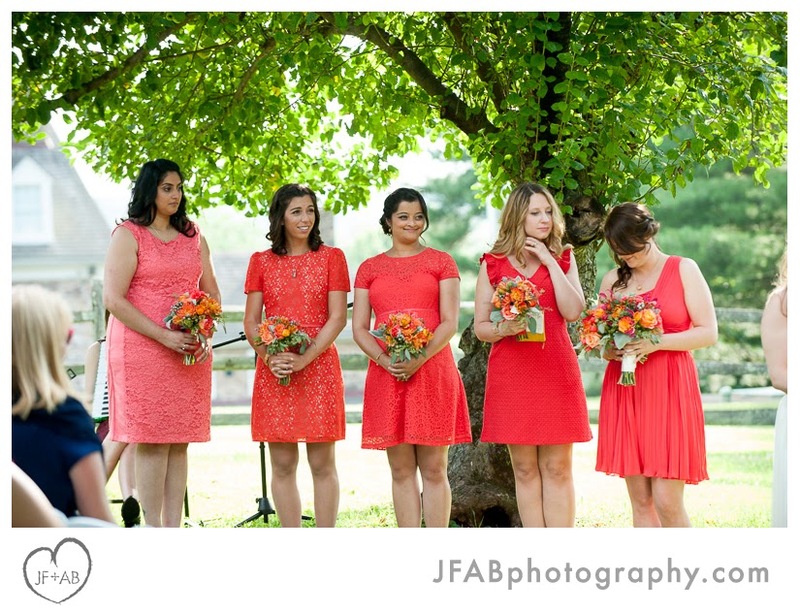 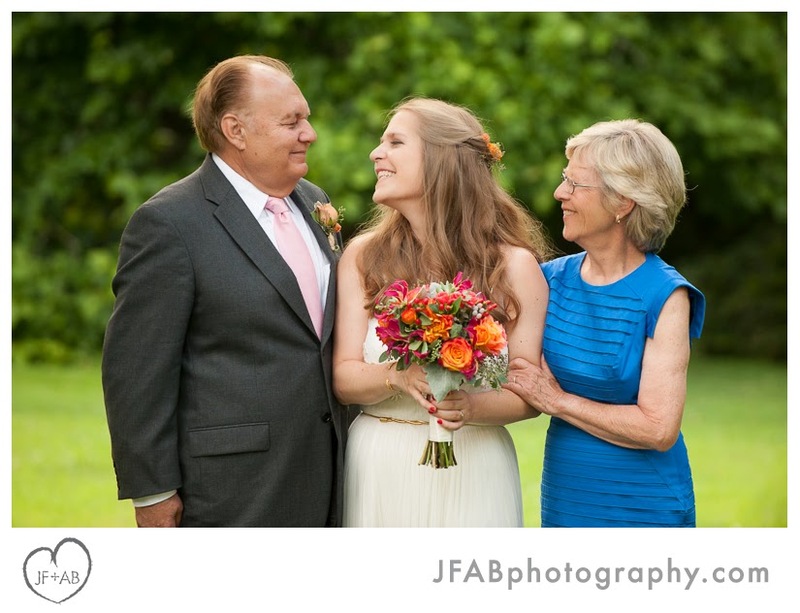 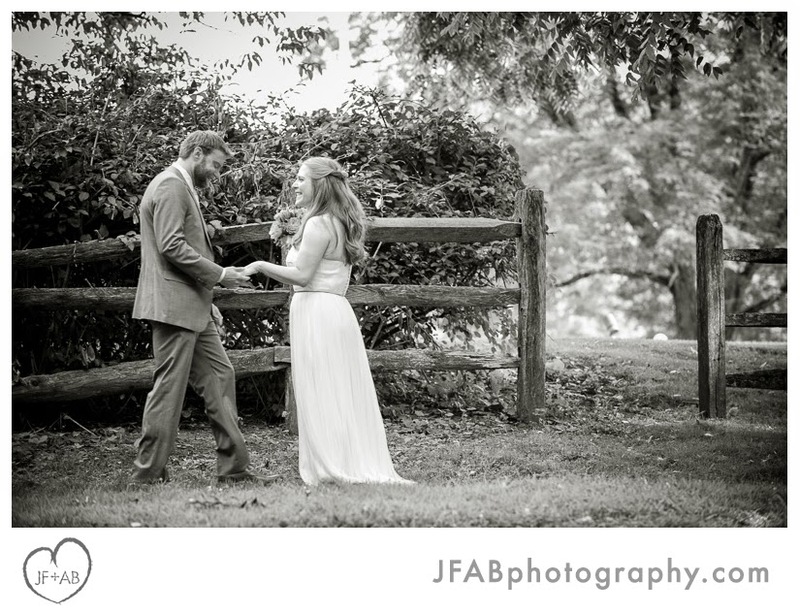 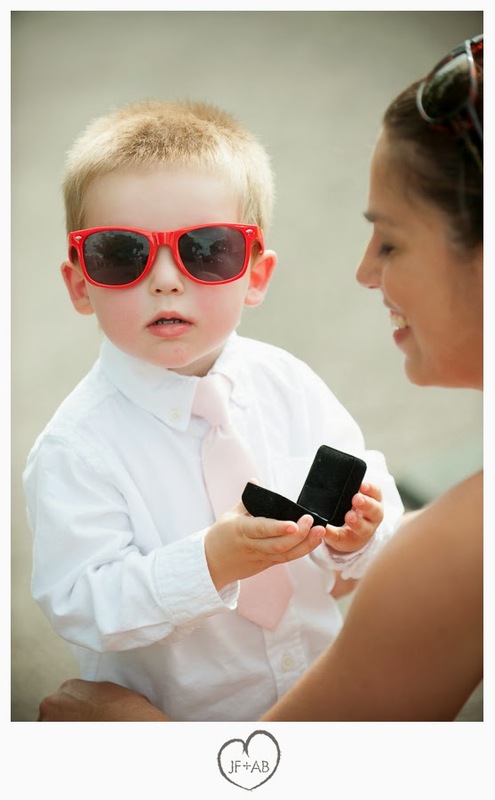 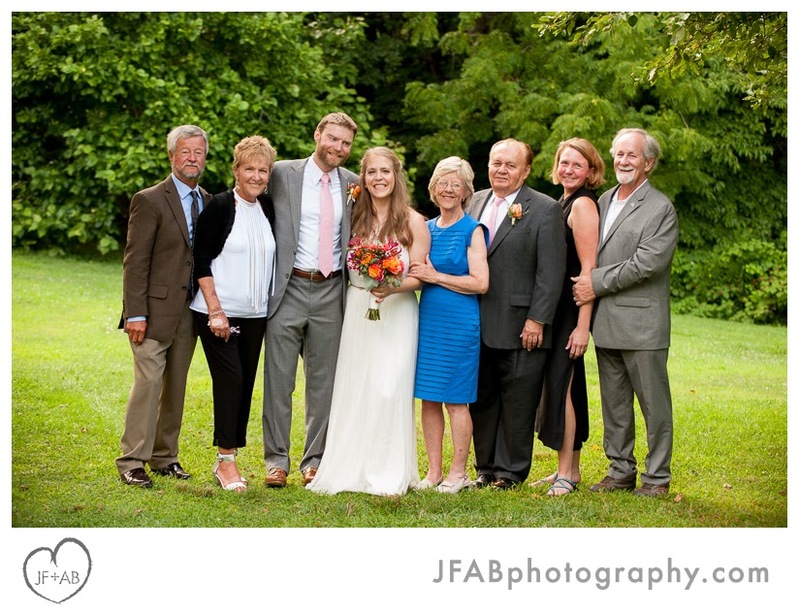 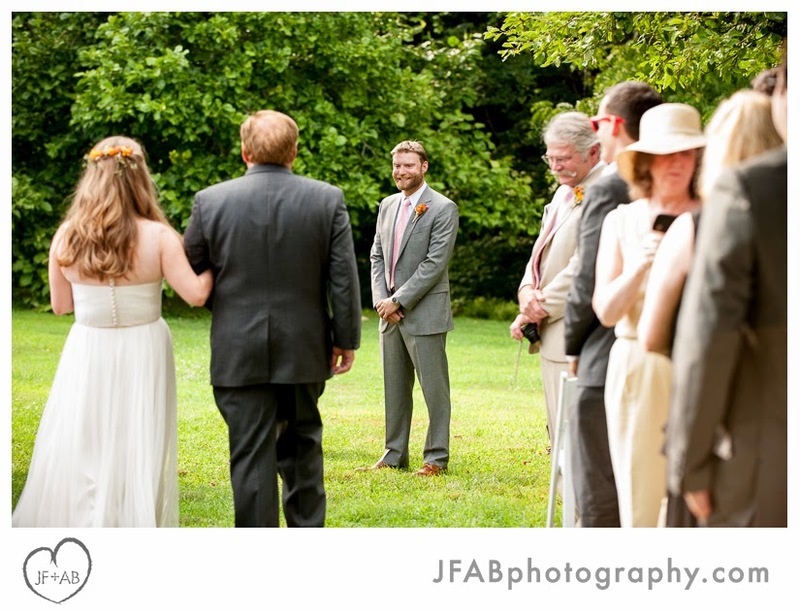 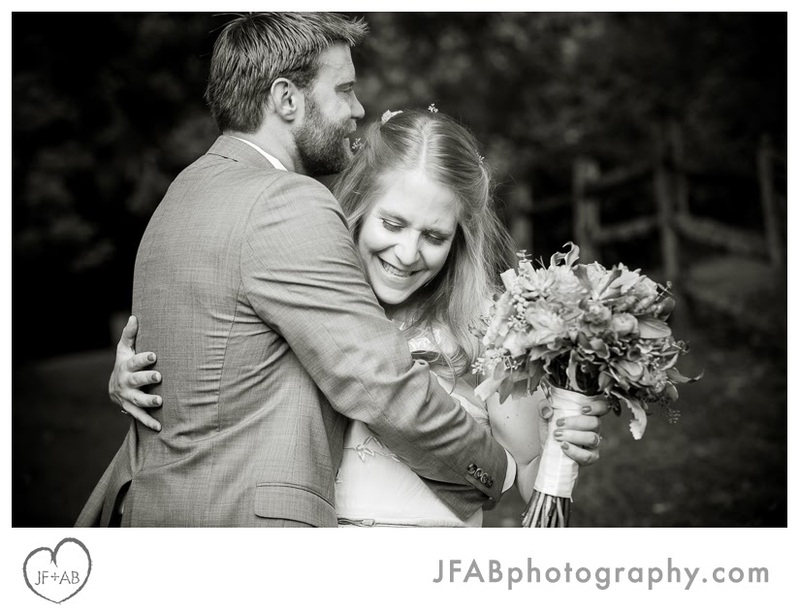 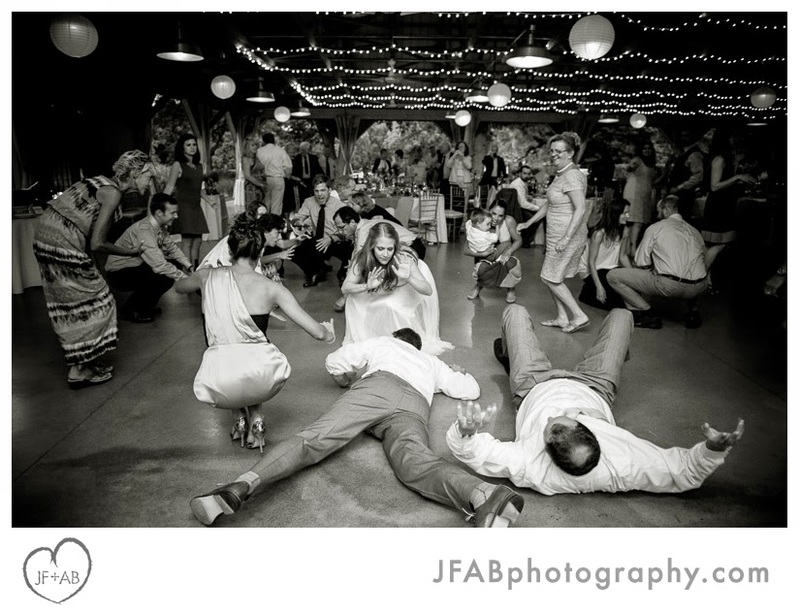 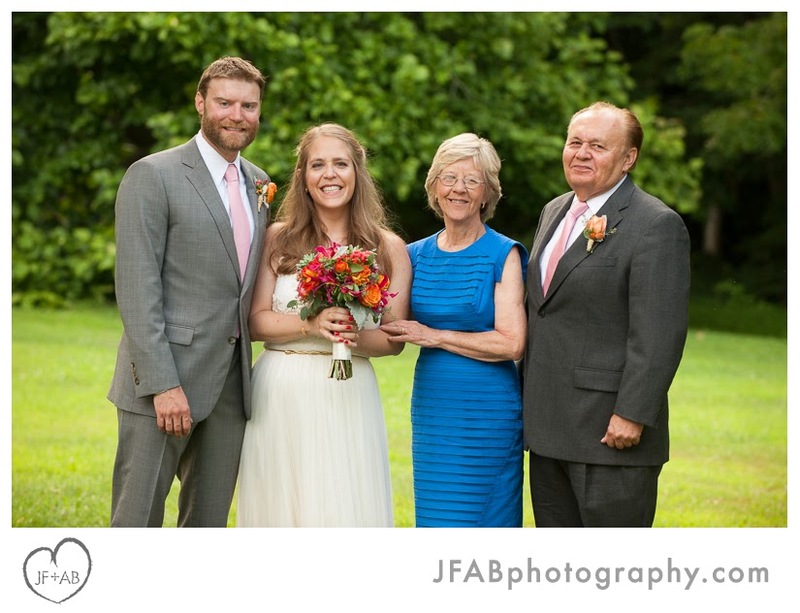 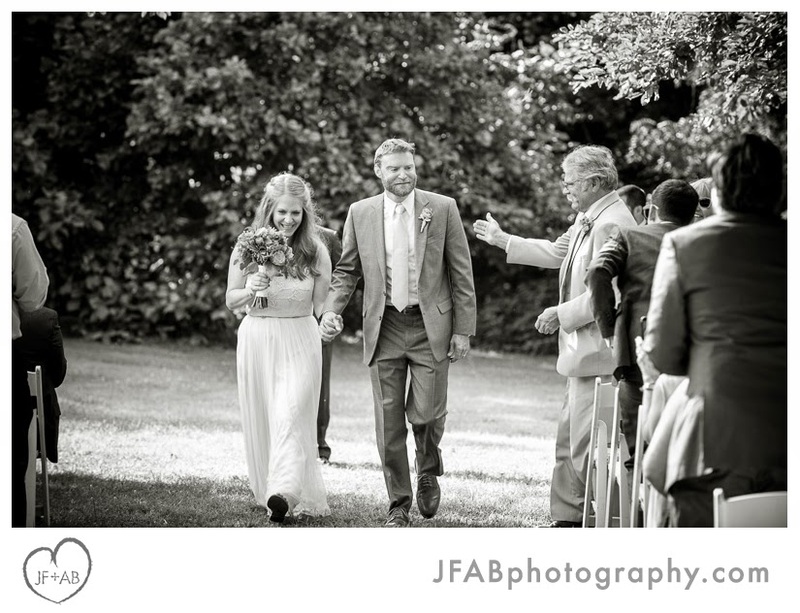 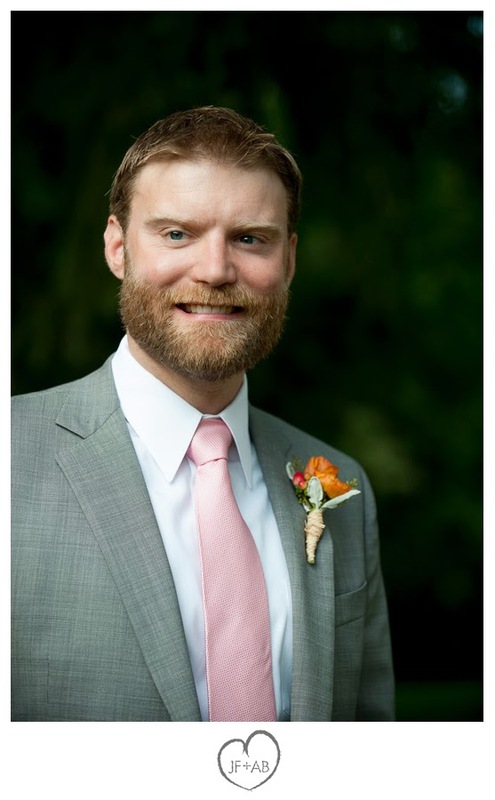 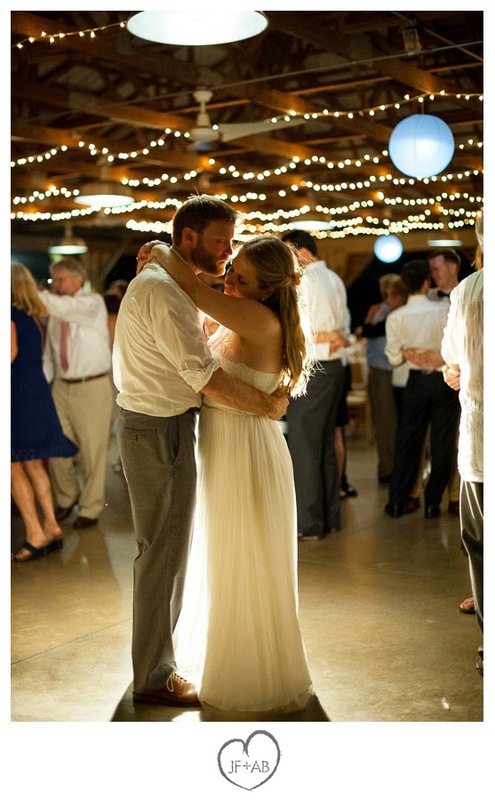 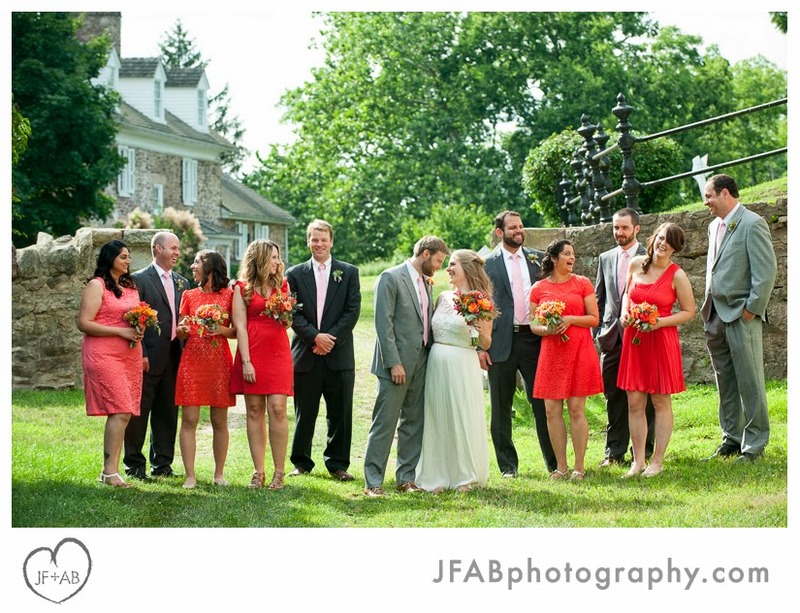 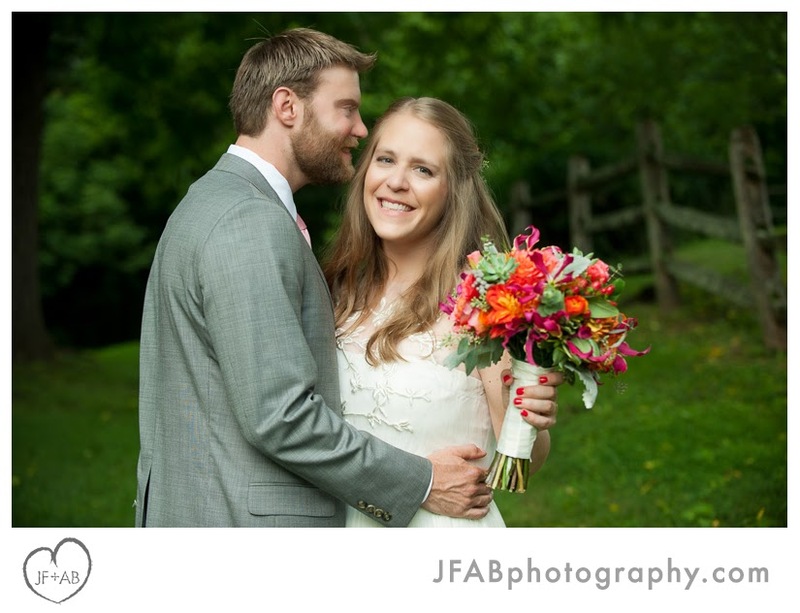 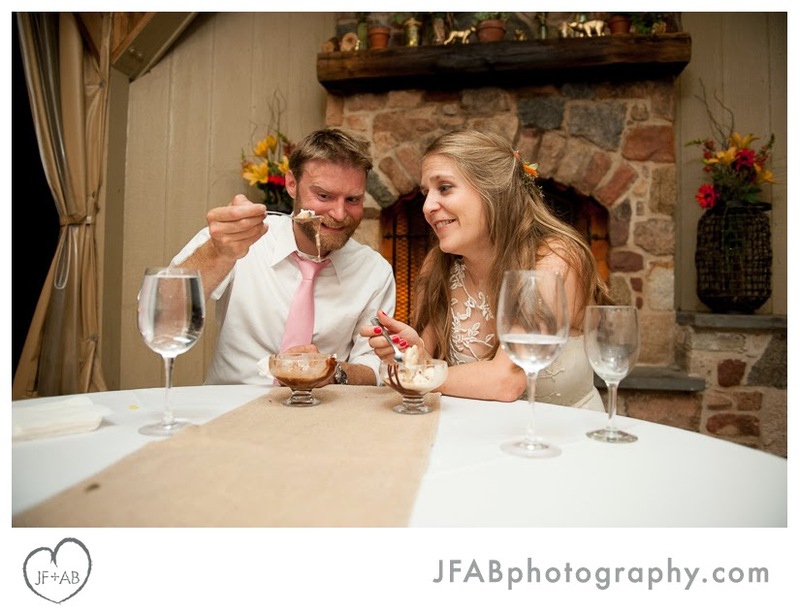 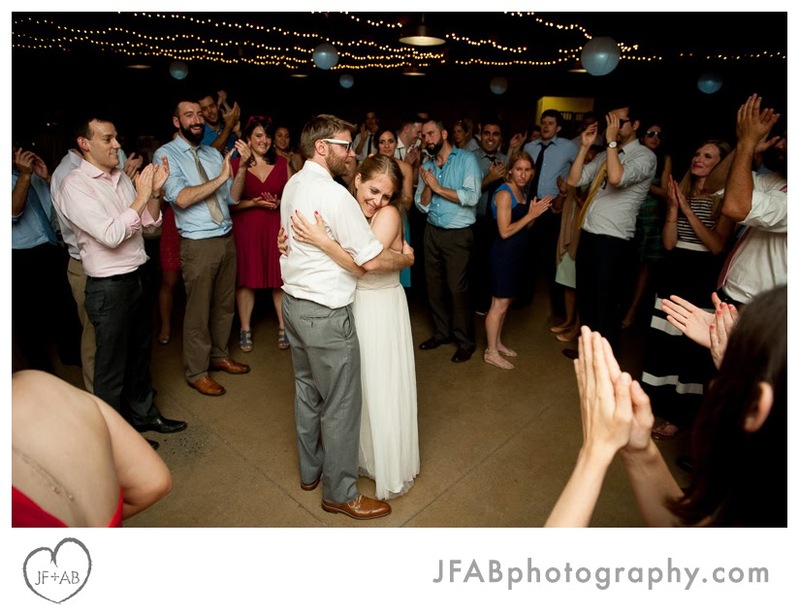 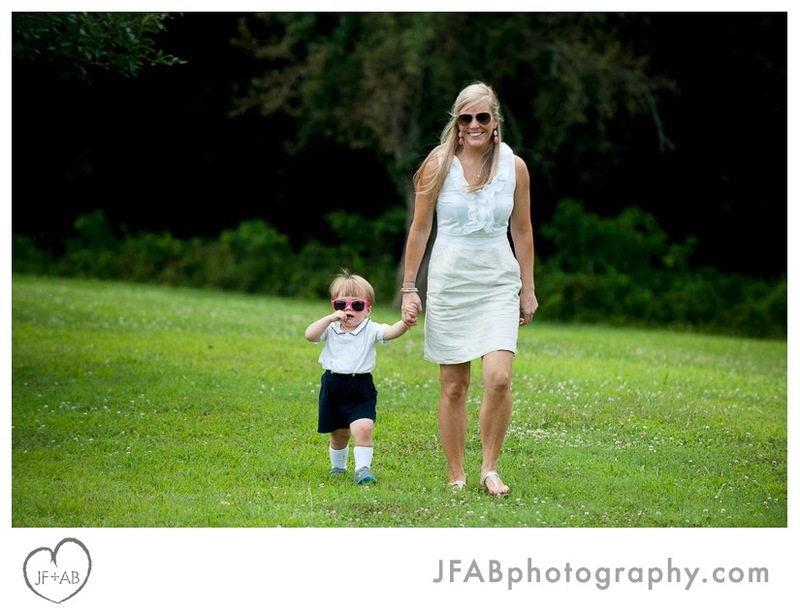 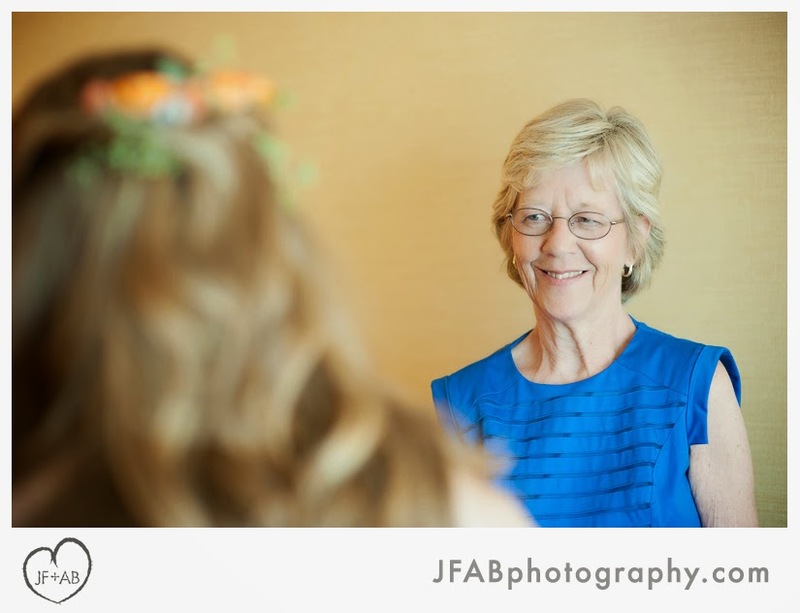 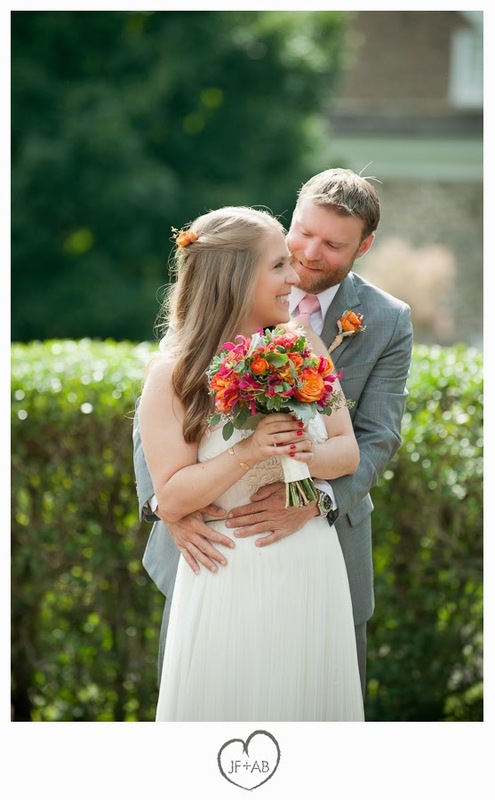 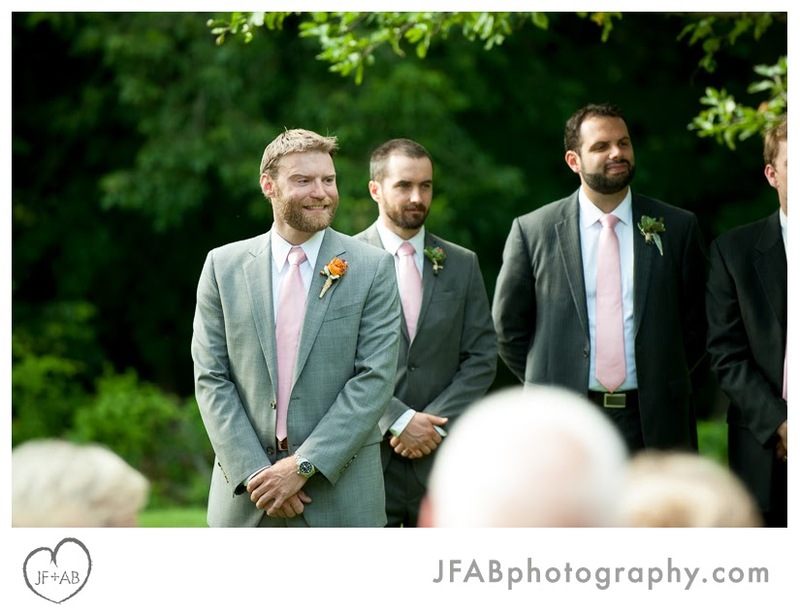 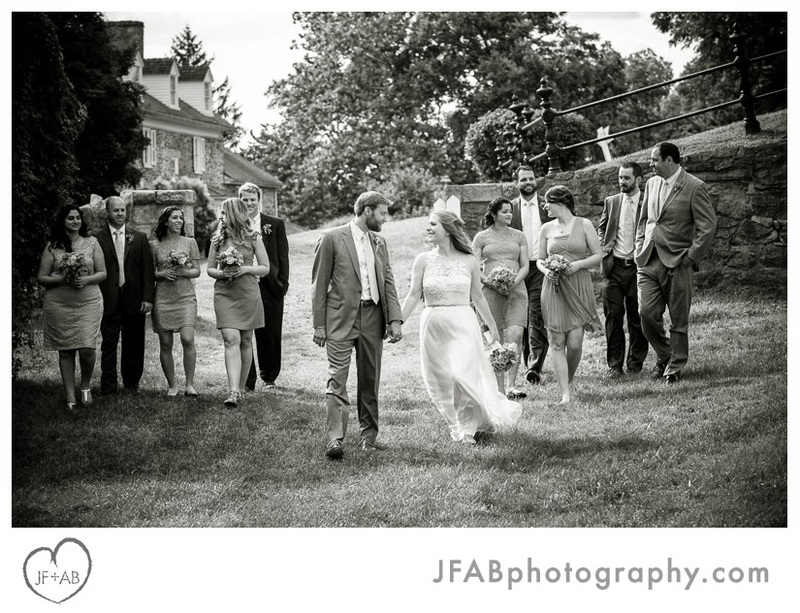 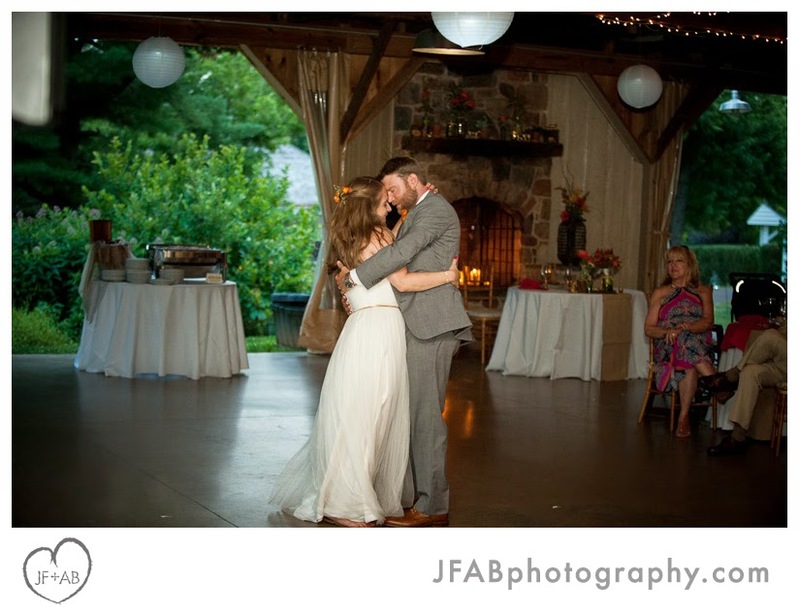 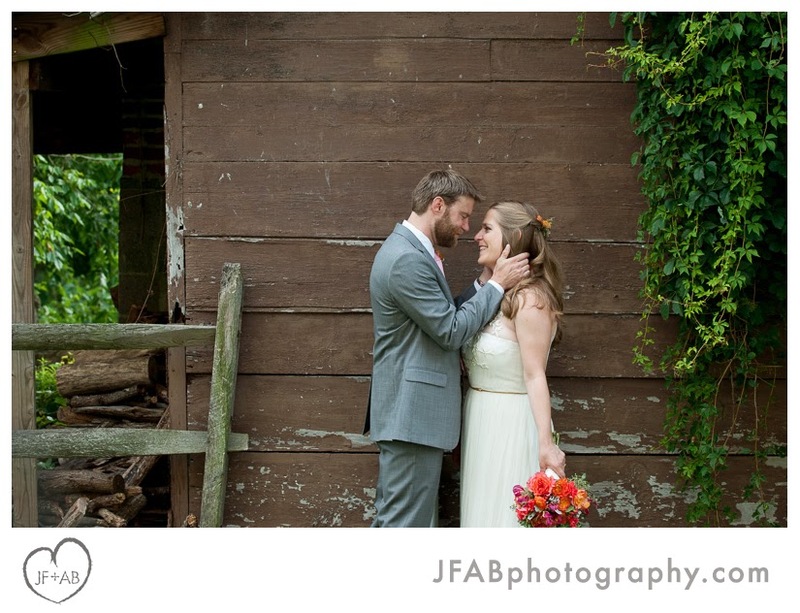 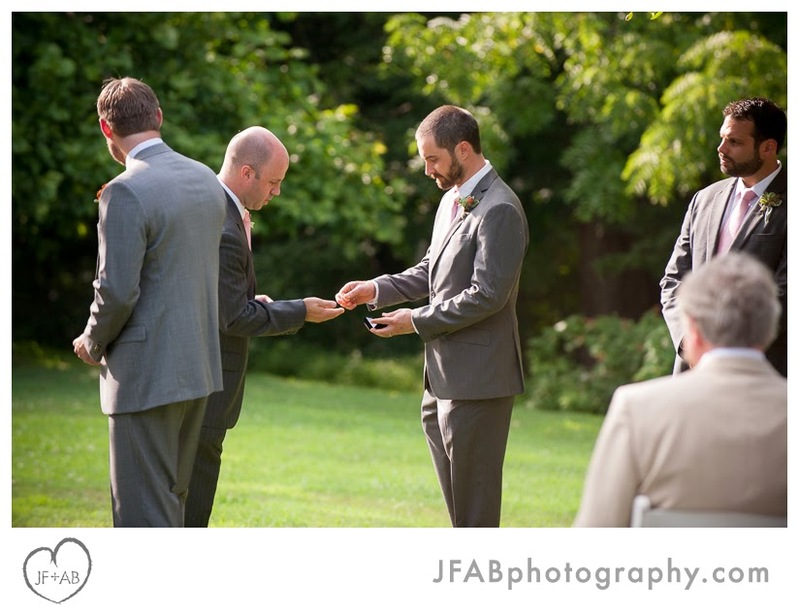 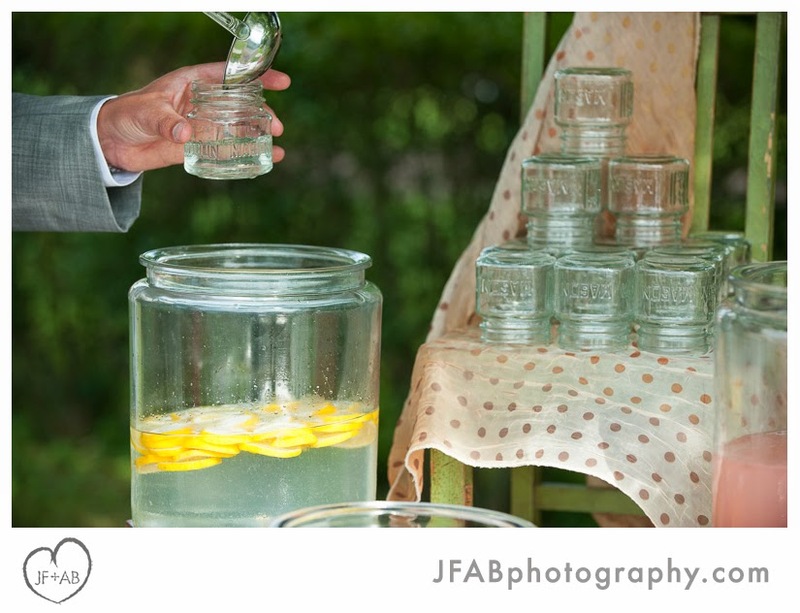 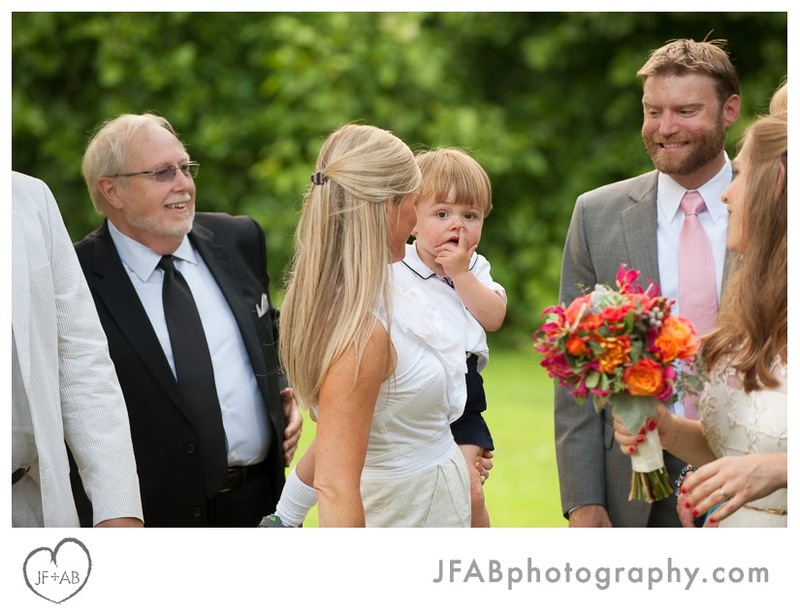 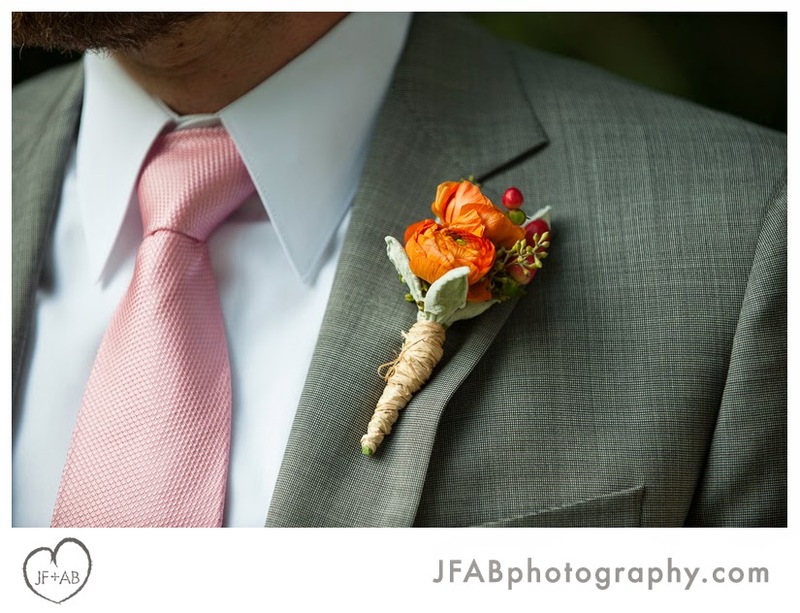 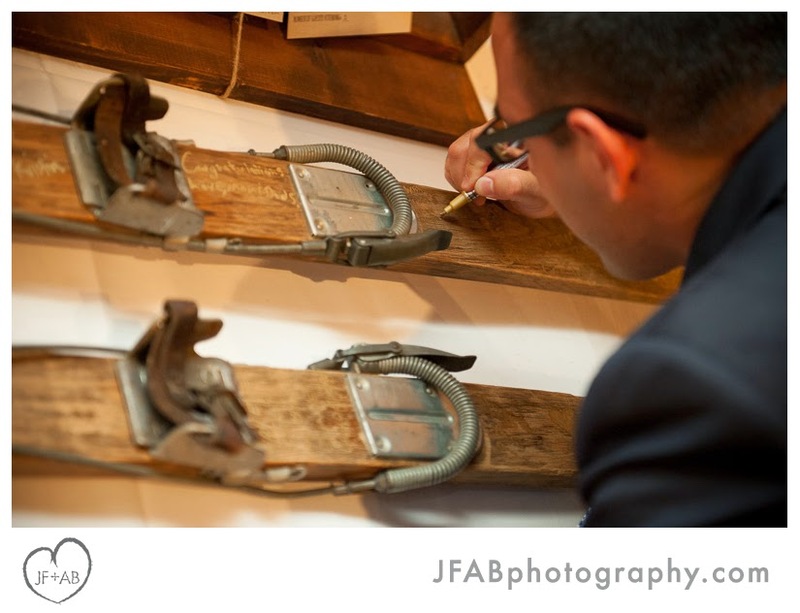 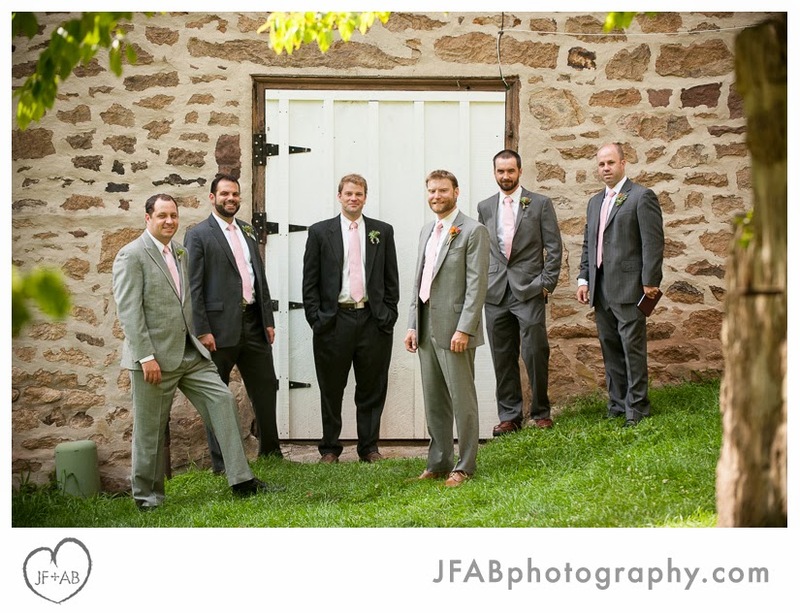 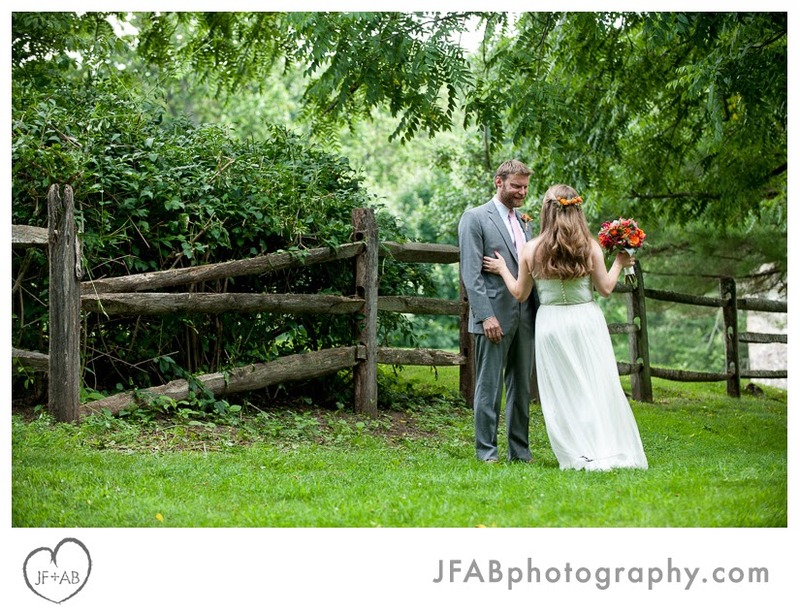 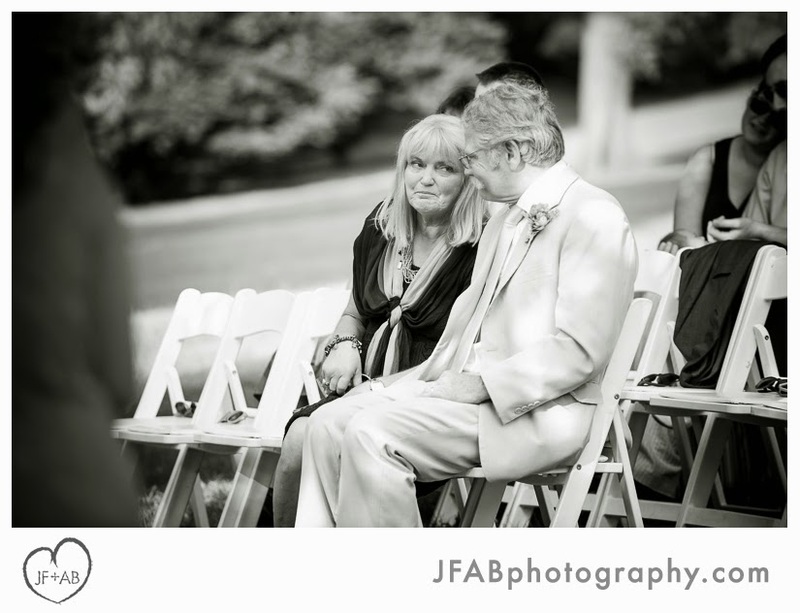 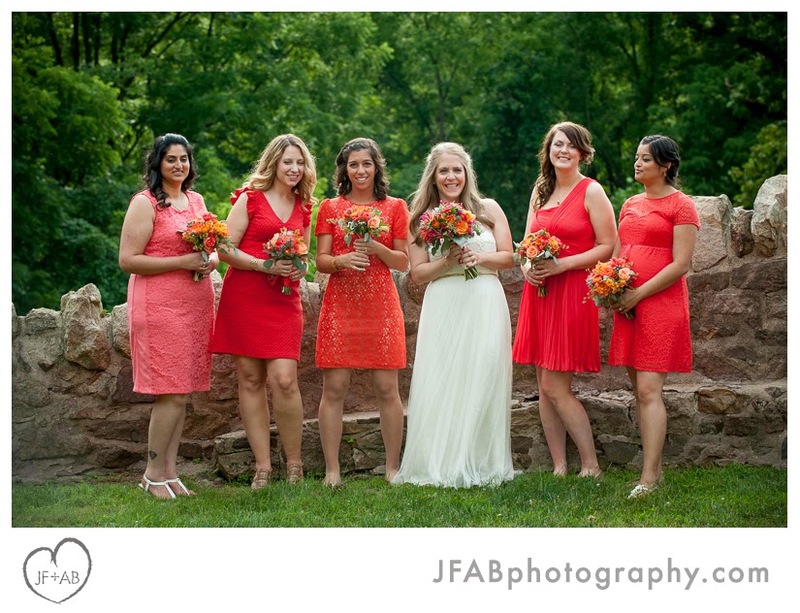 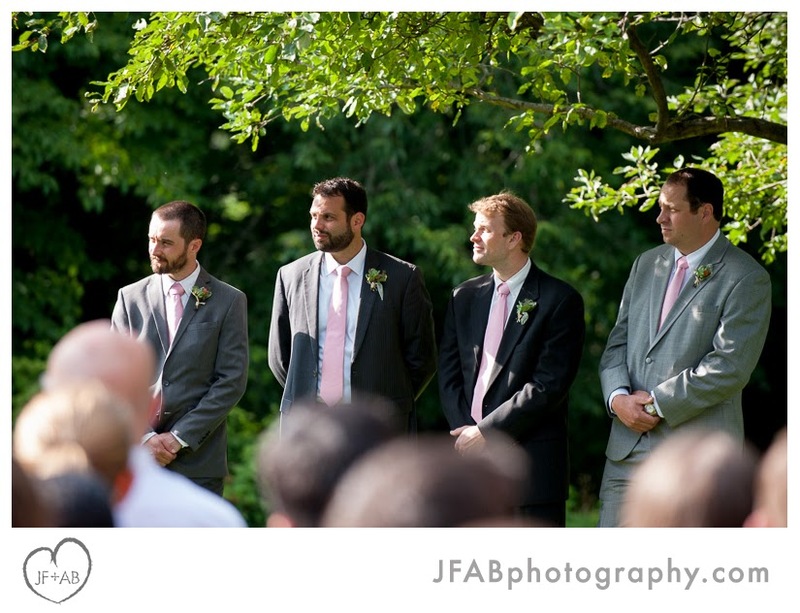 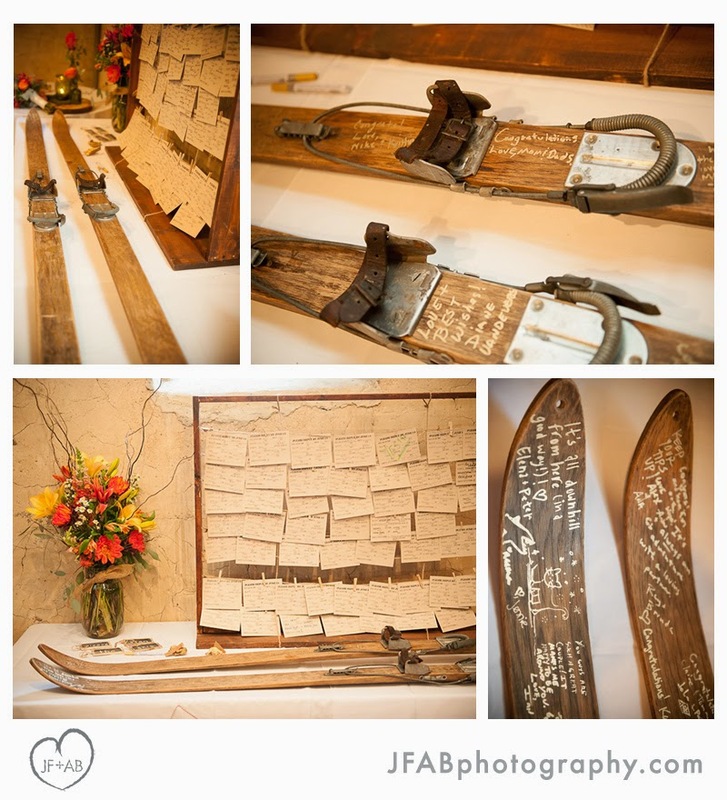 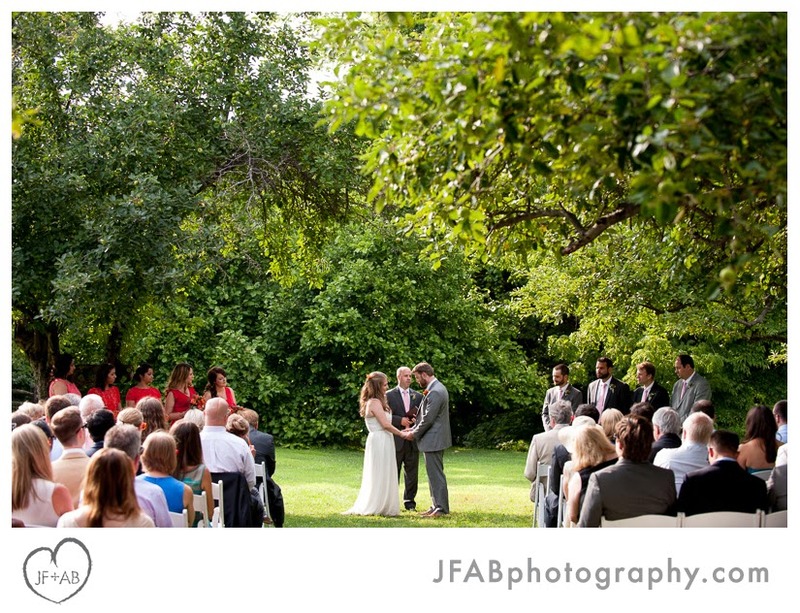 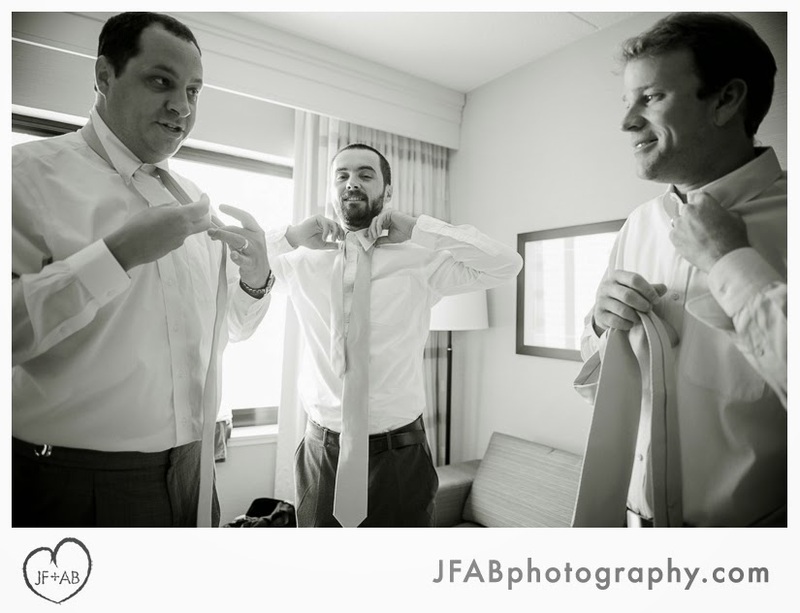 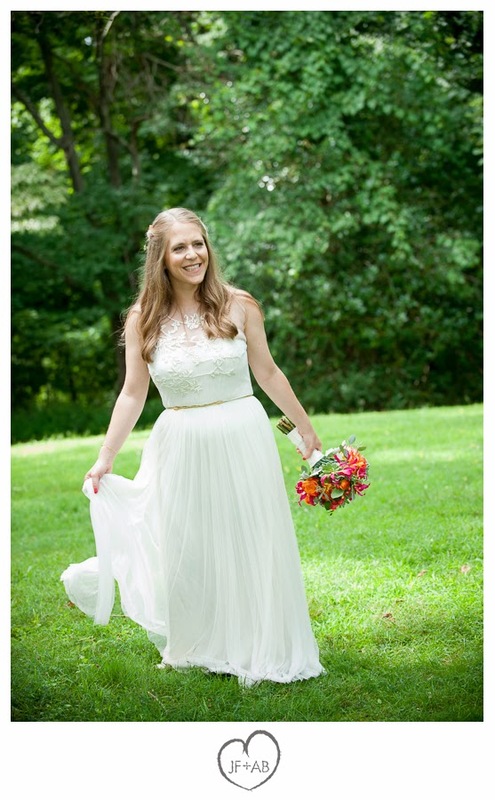 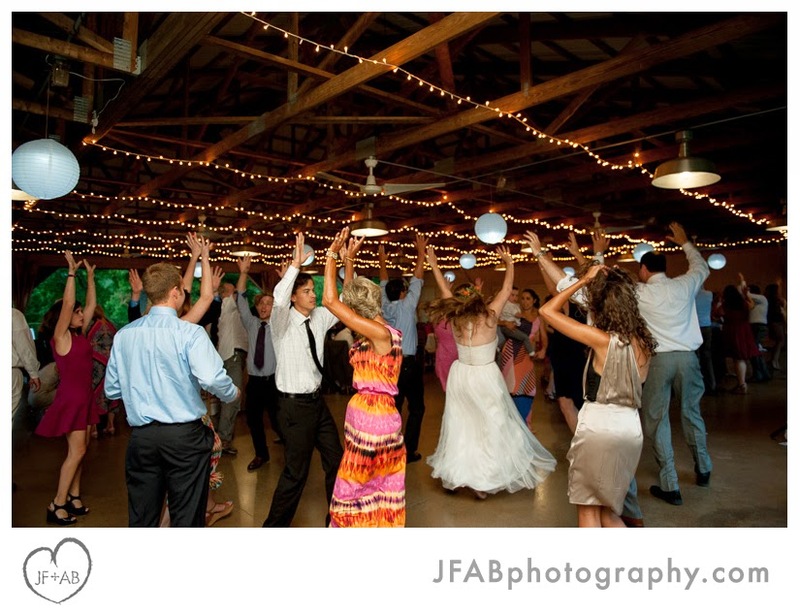 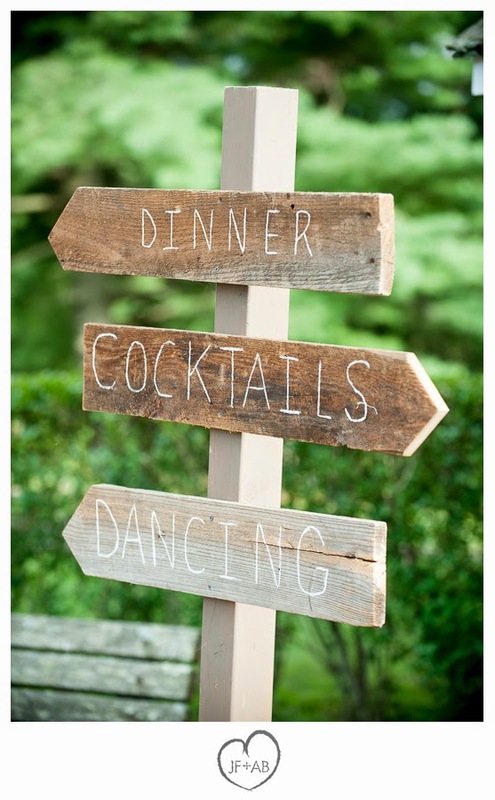 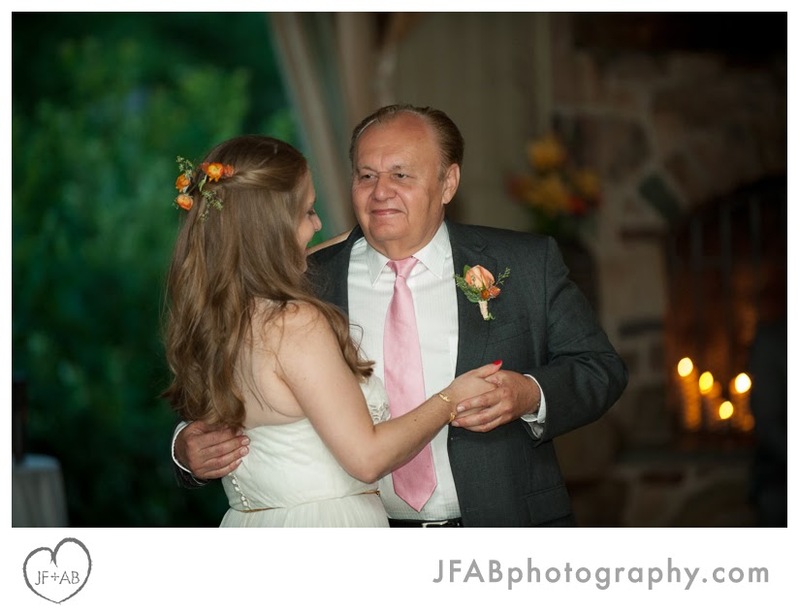 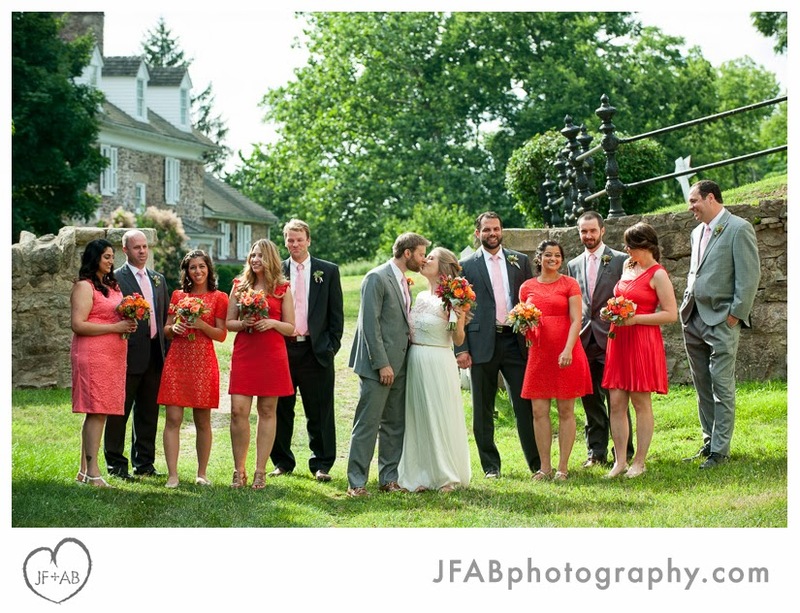 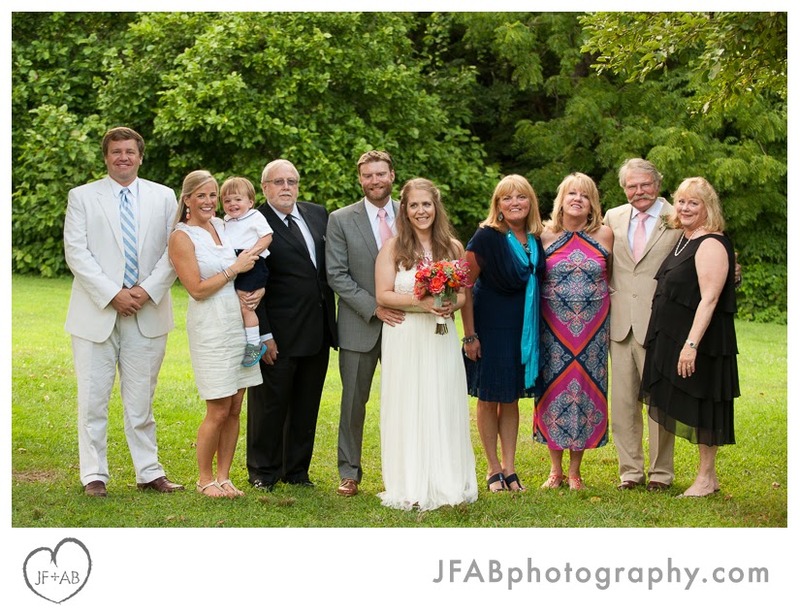 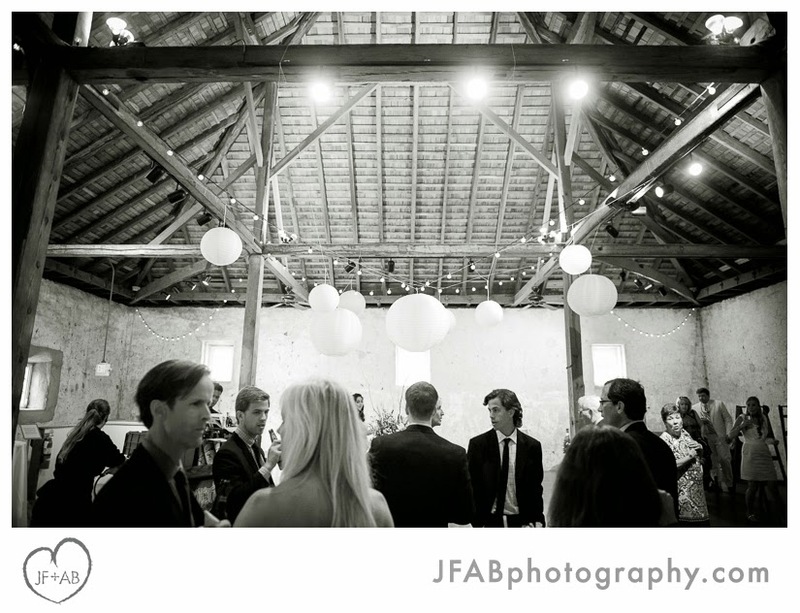 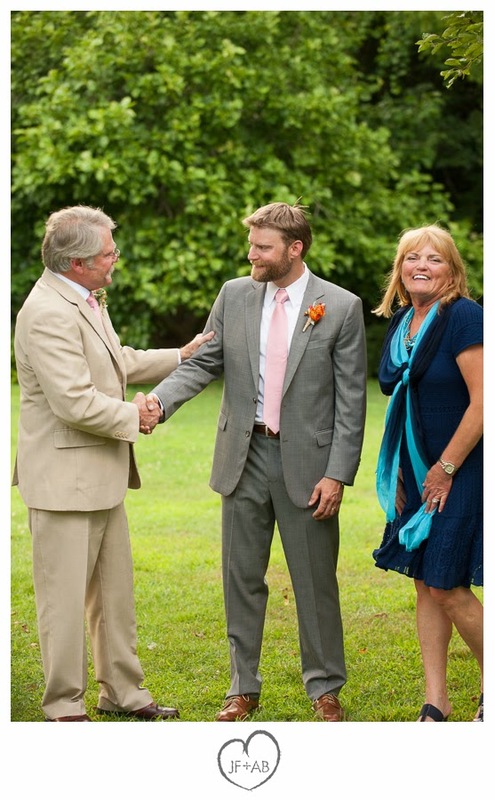 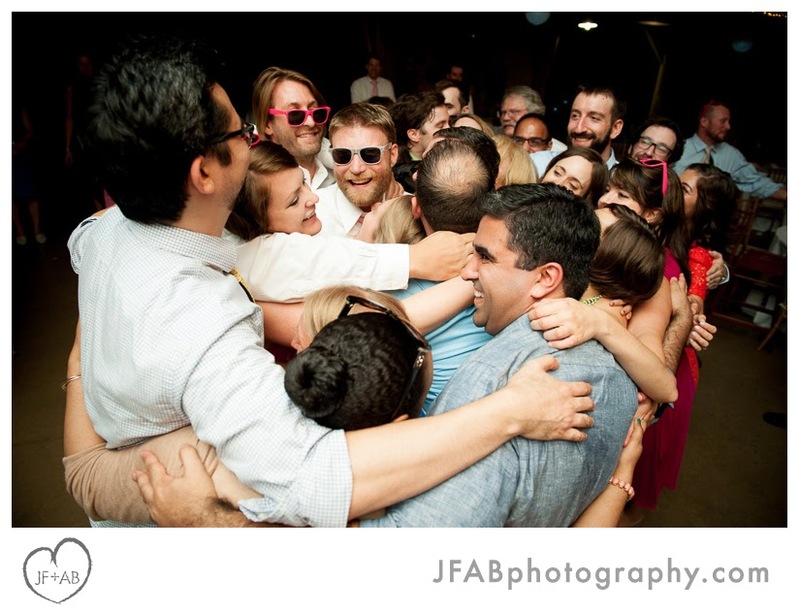 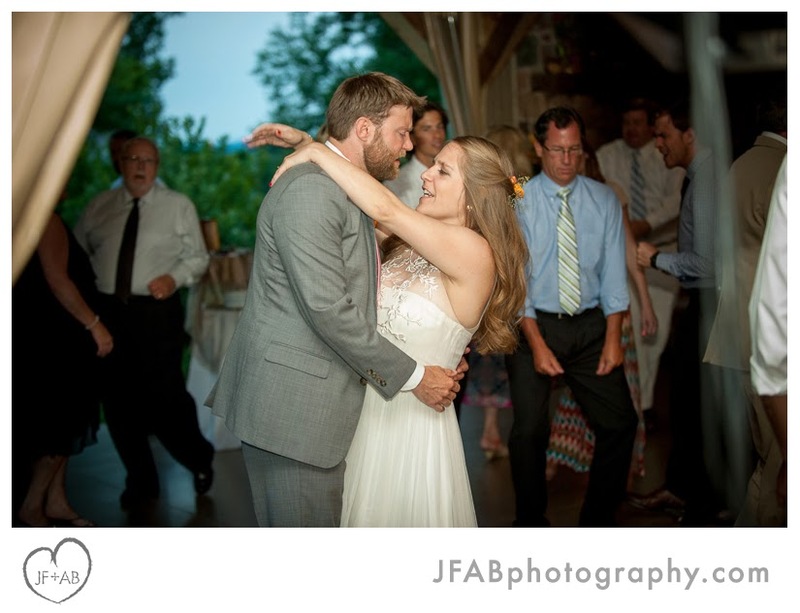 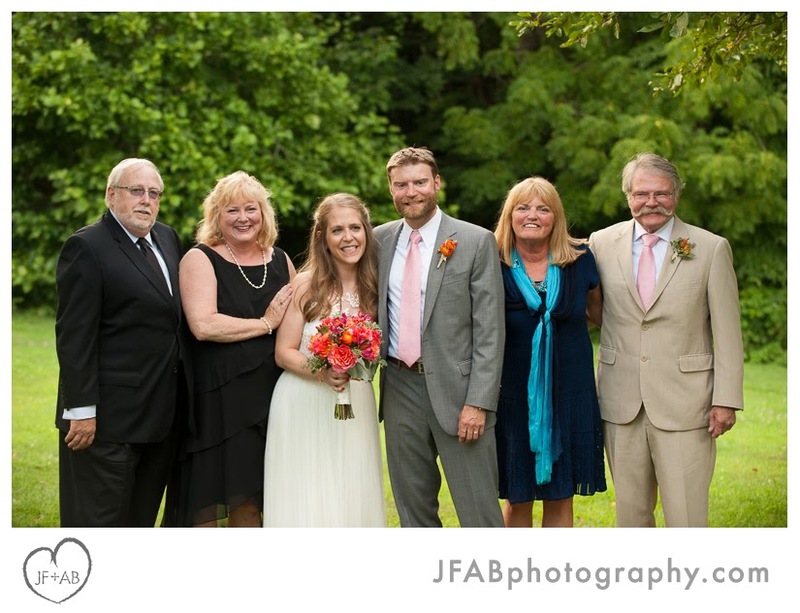 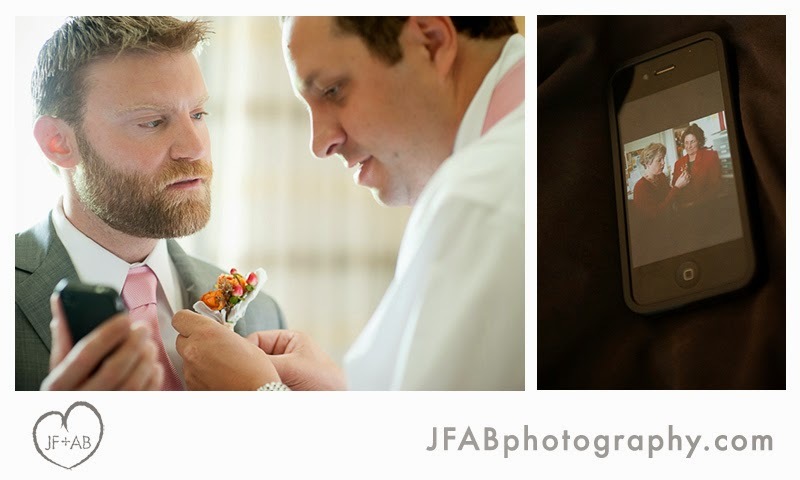 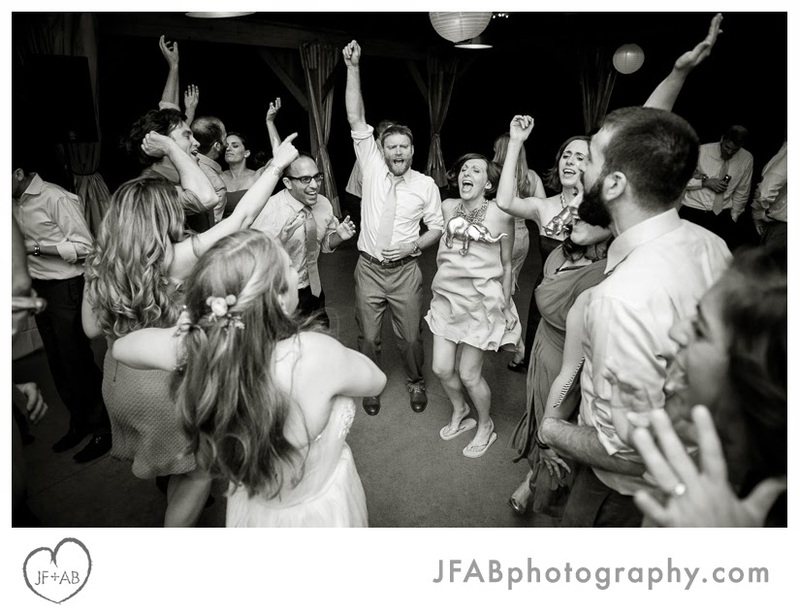 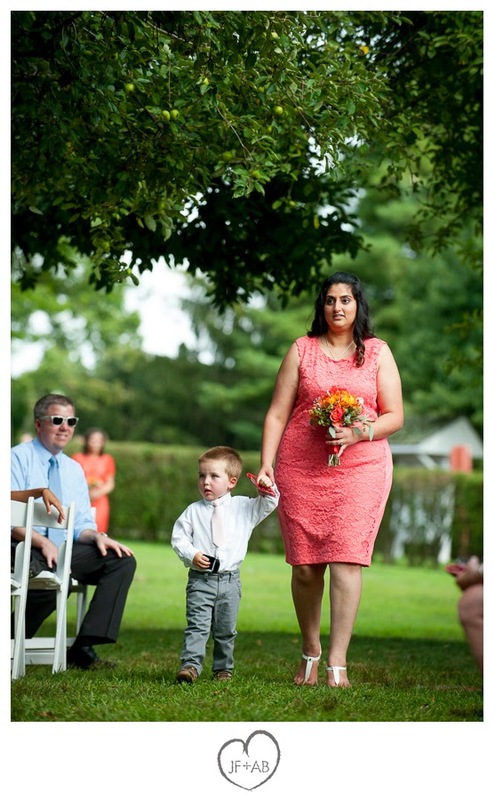 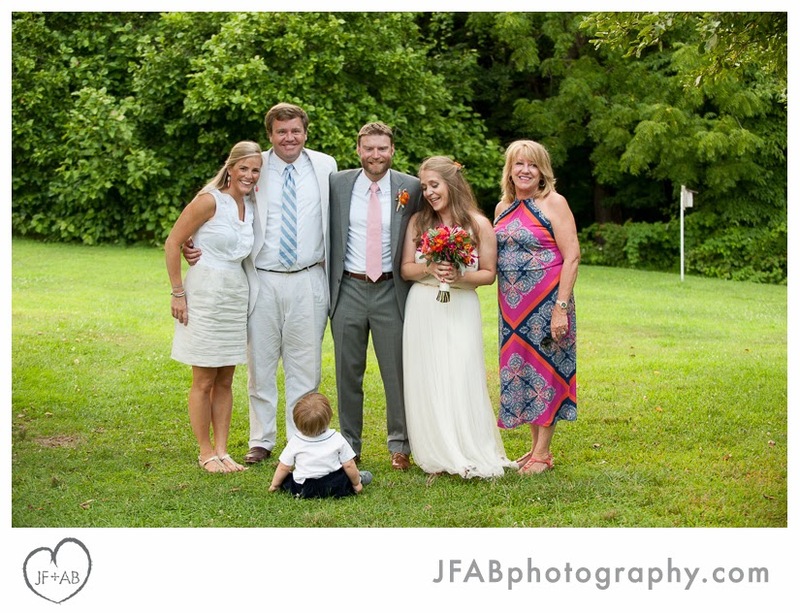 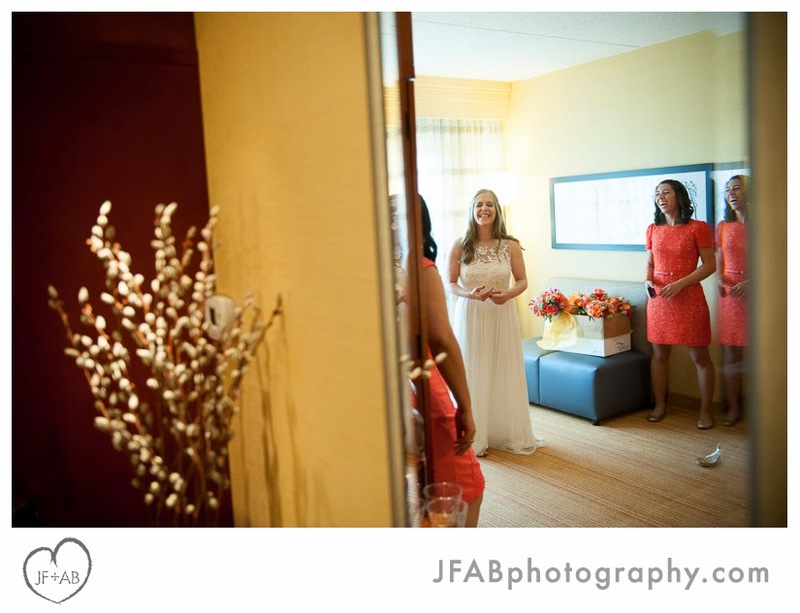 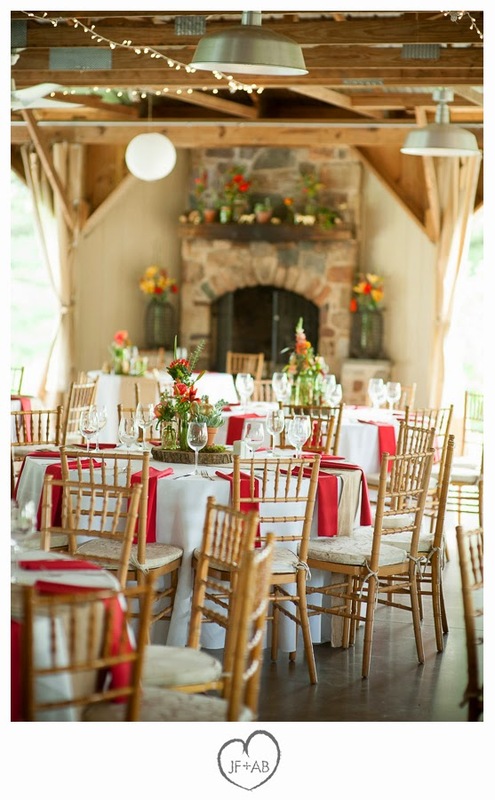 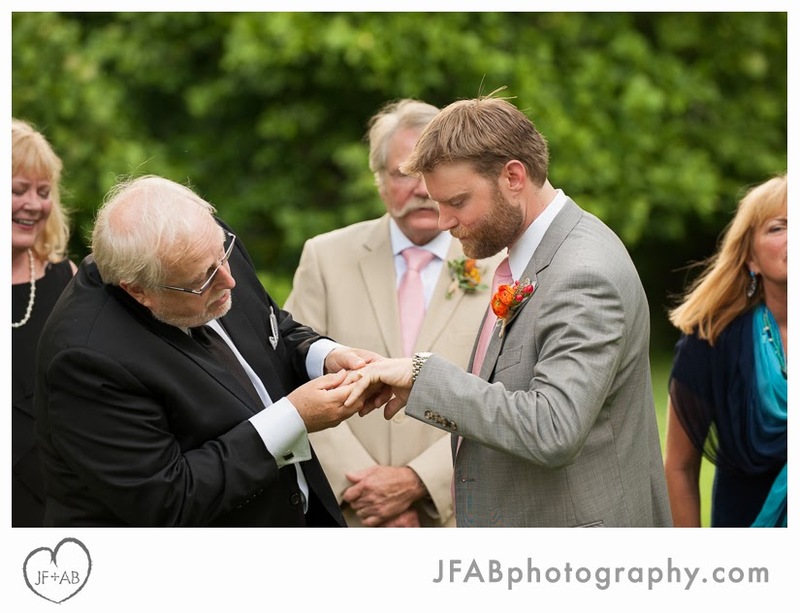 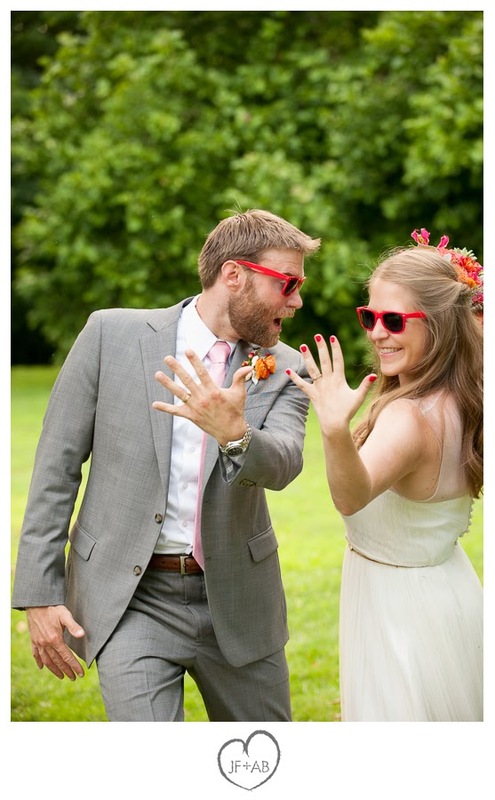 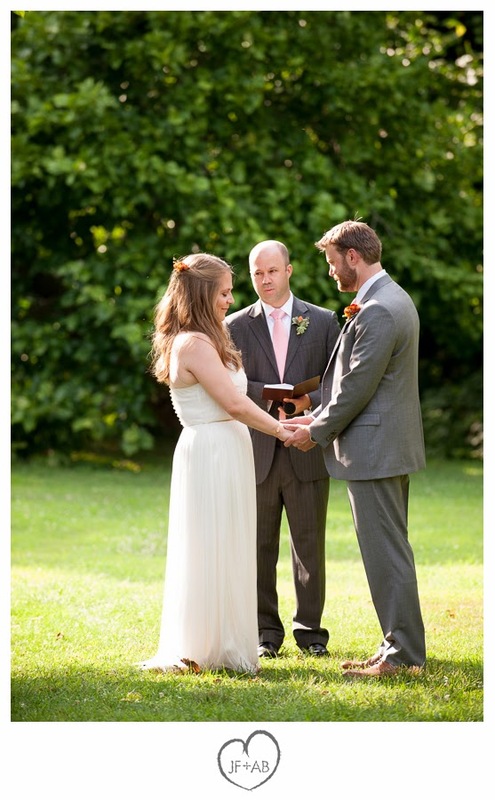 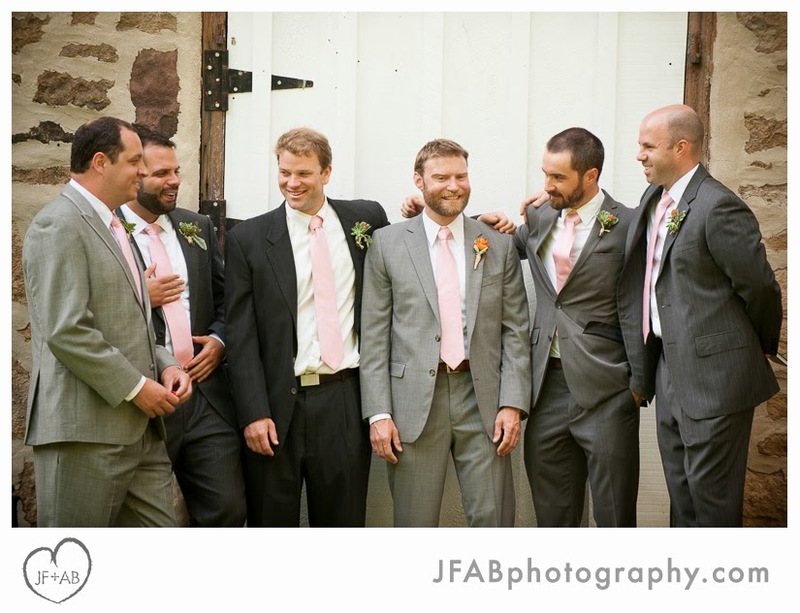 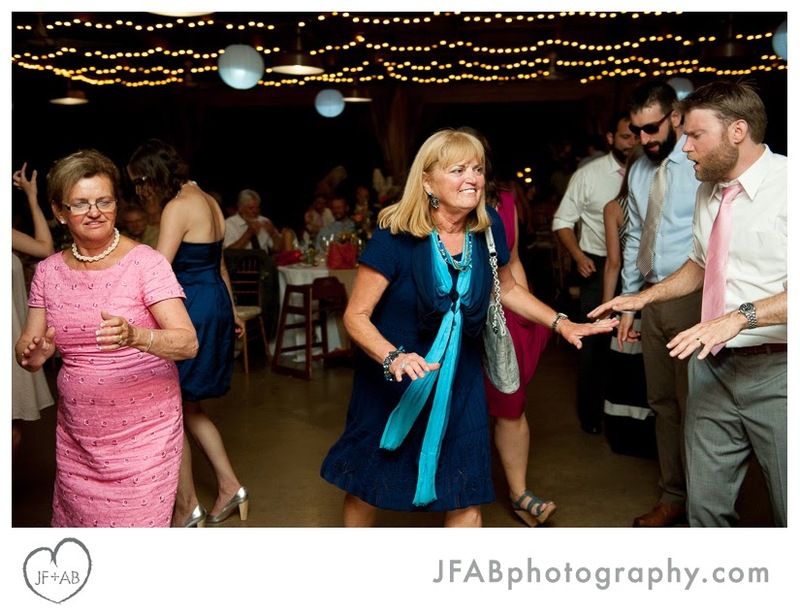 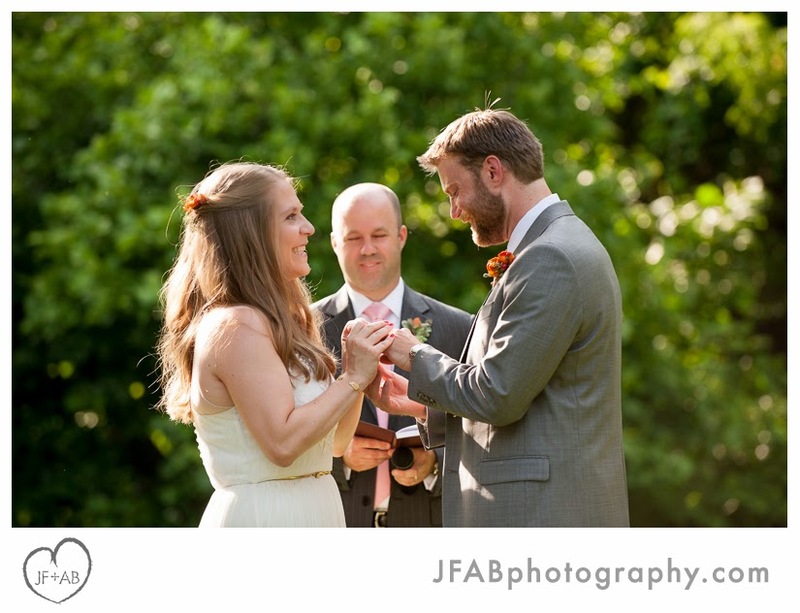 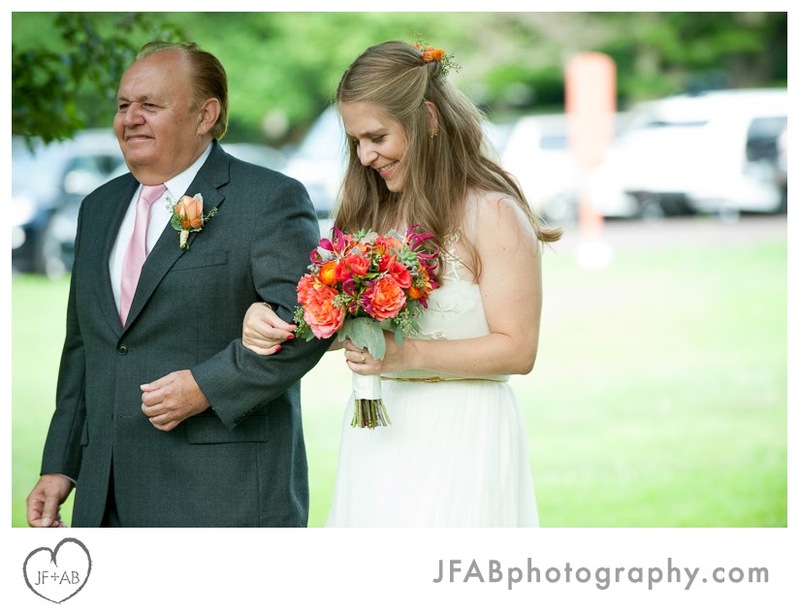 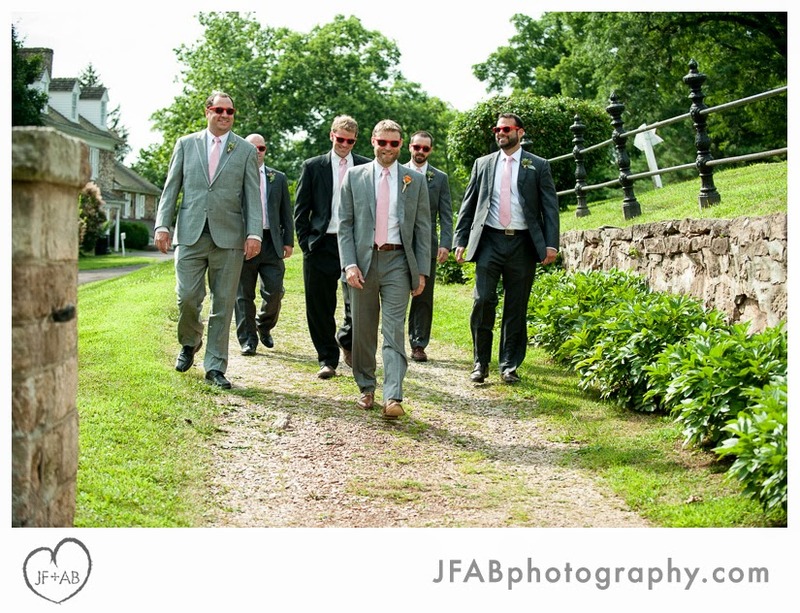 Credits: Wedding and Reception at the John James Audubon Center at Mill Grove in Audubon, PA. 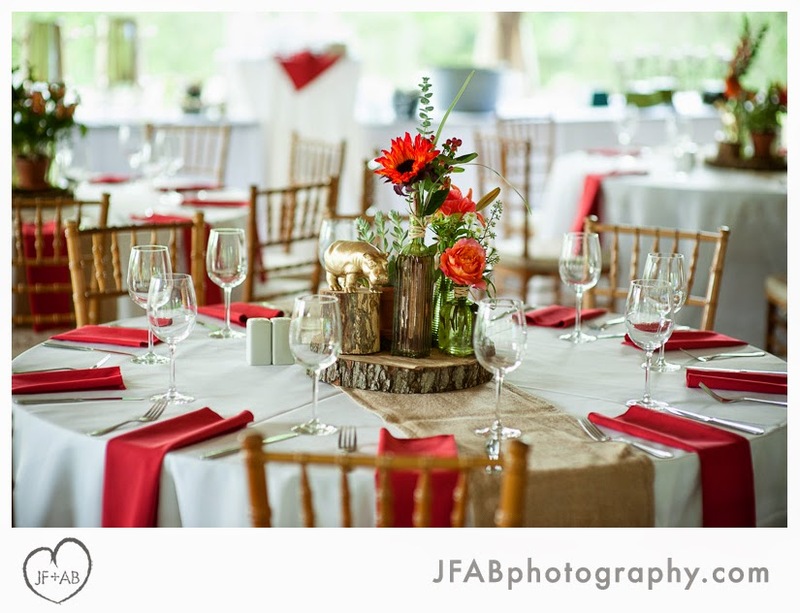 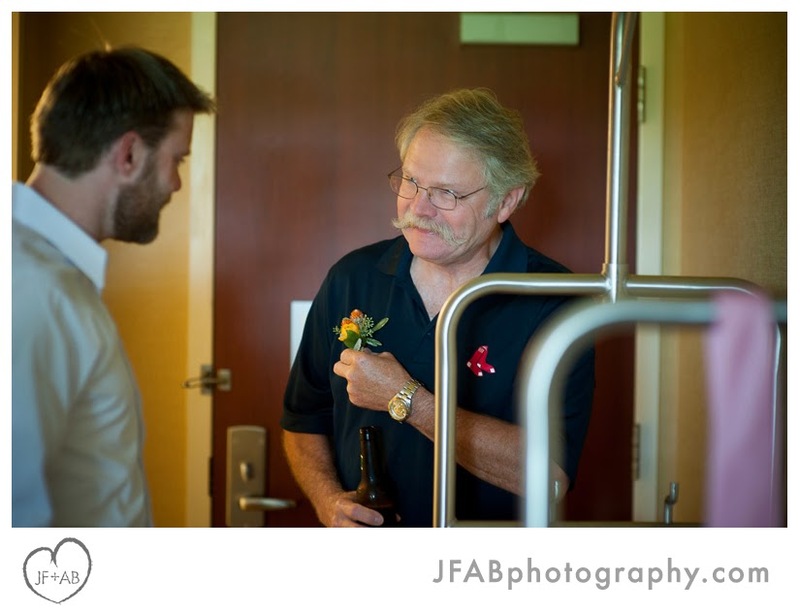 Catering and event coordination by Jeffrey A. Miller. 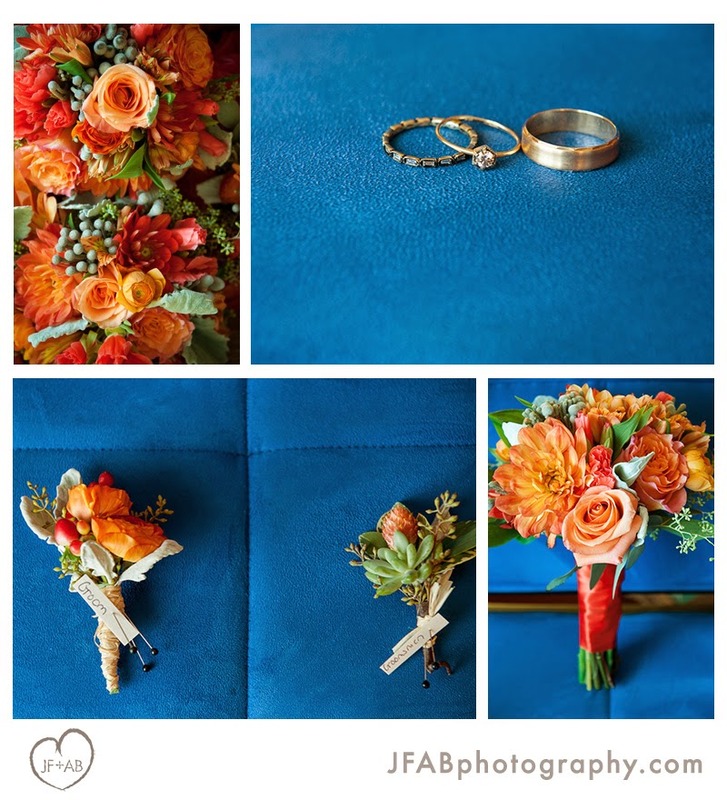 Wedding flowers: Kenny's Flowers. 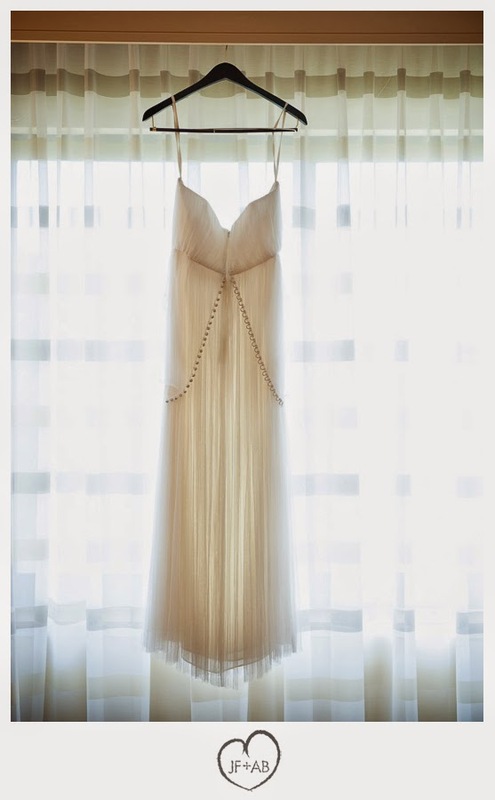 Bridal gown by BHLDN. 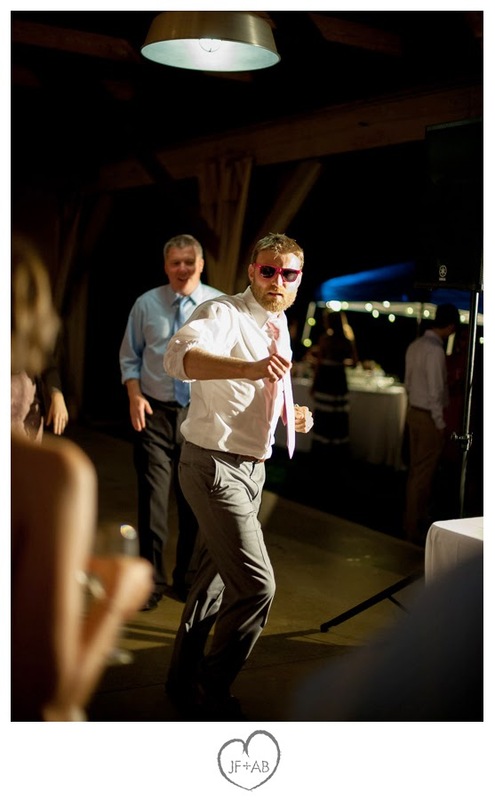 Entertainment by DJ Kenny Phifer. 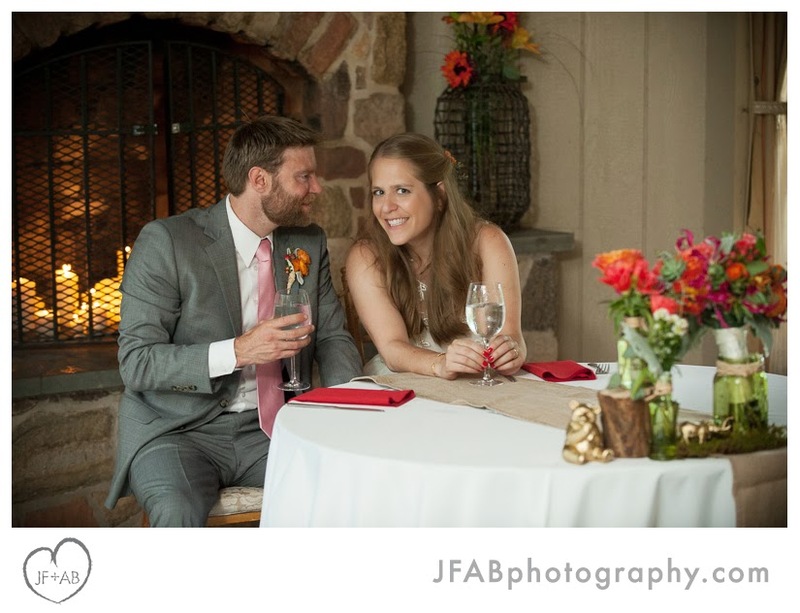 Amber took our engagement and wedding photos, and she did an absolutely AMAZING job. 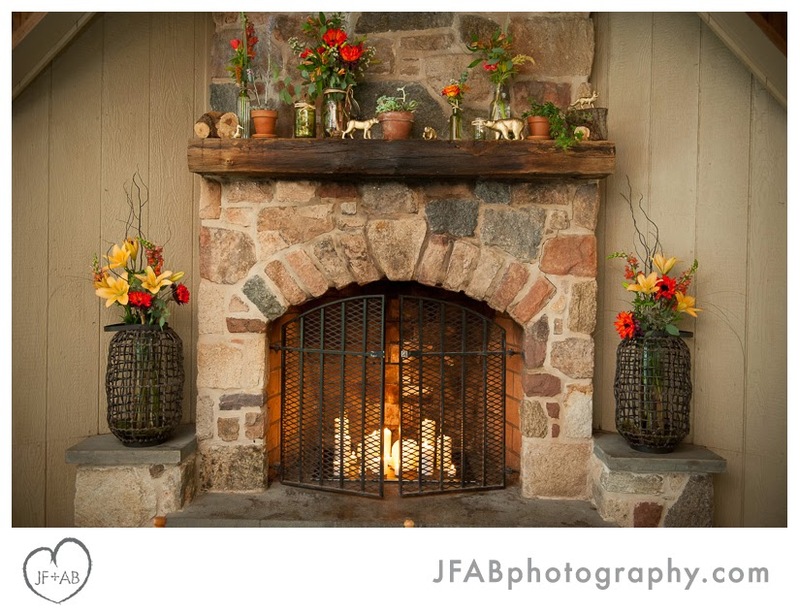 Our photographs are absolutely stunning. 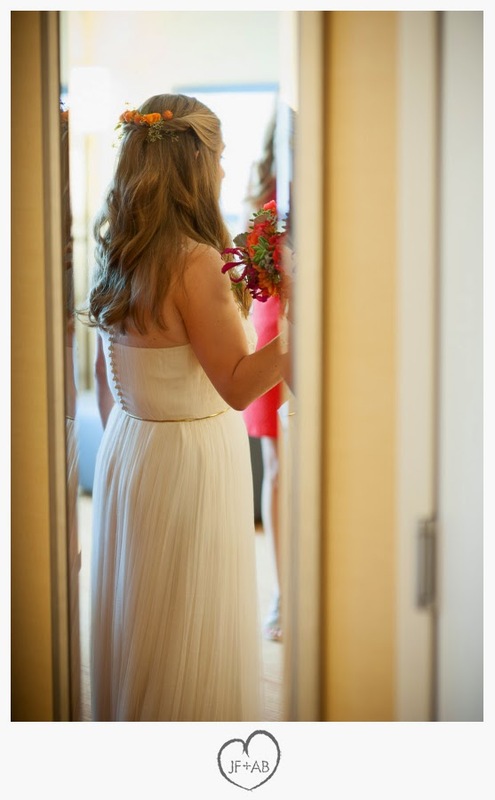 She really took the time to get to know us and what we wanted, and she delivered on everything we asked for. 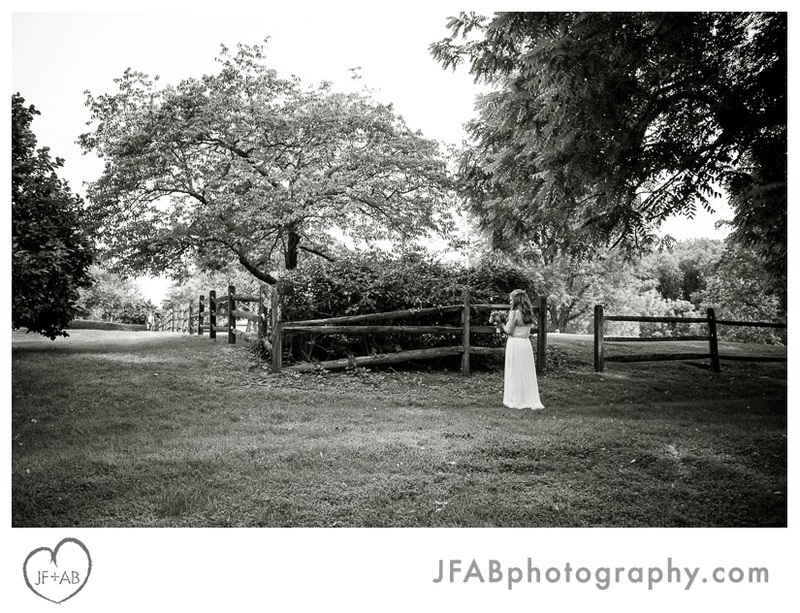 Her photographs capture the spirit of the day perfectly. 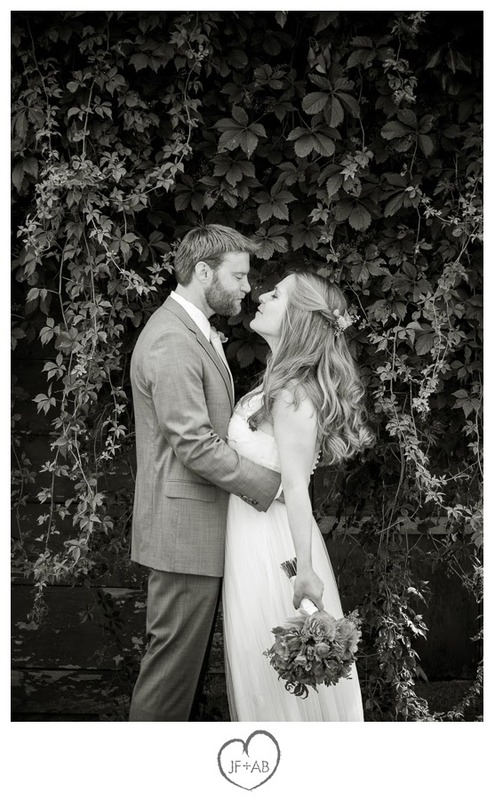 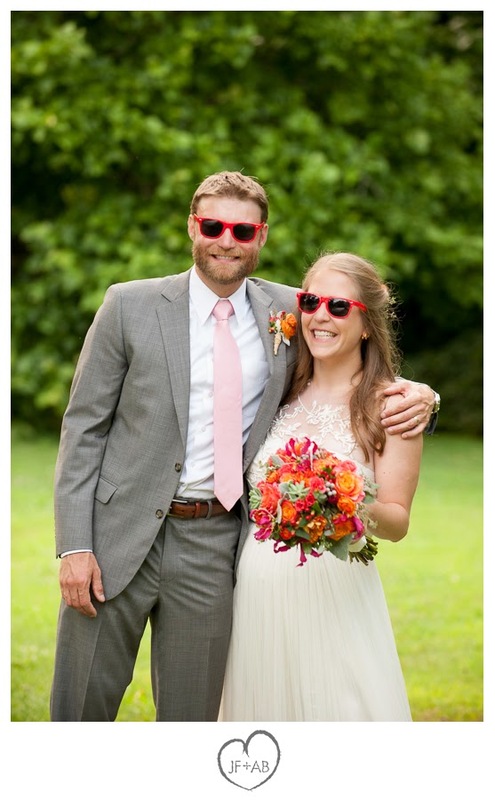 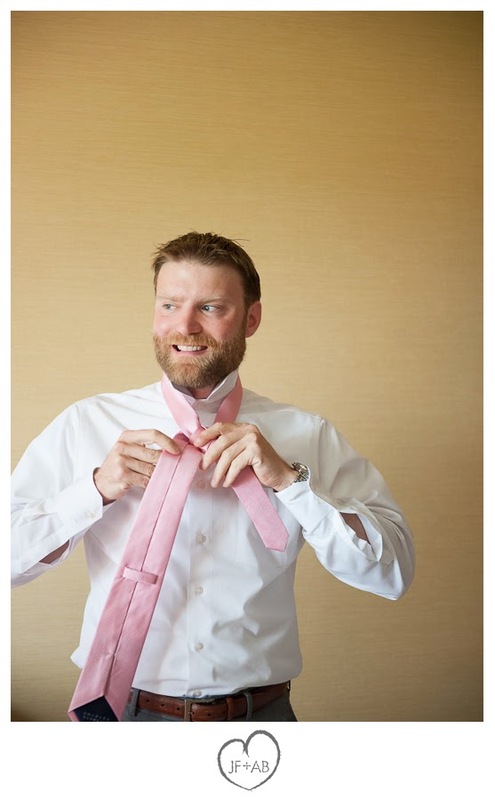 We had a colorful and laid-back wedding at a rustic venue, and it was really important to us that those things come through in the photos, and they did, an in an awesome way. 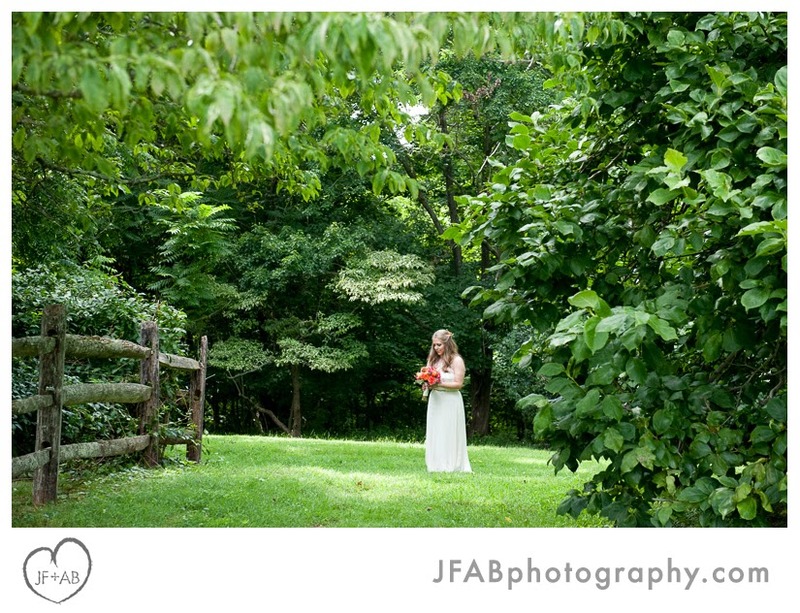 Not only is Amber amazing, but she was by far the most affordable of the photographers we looked at. 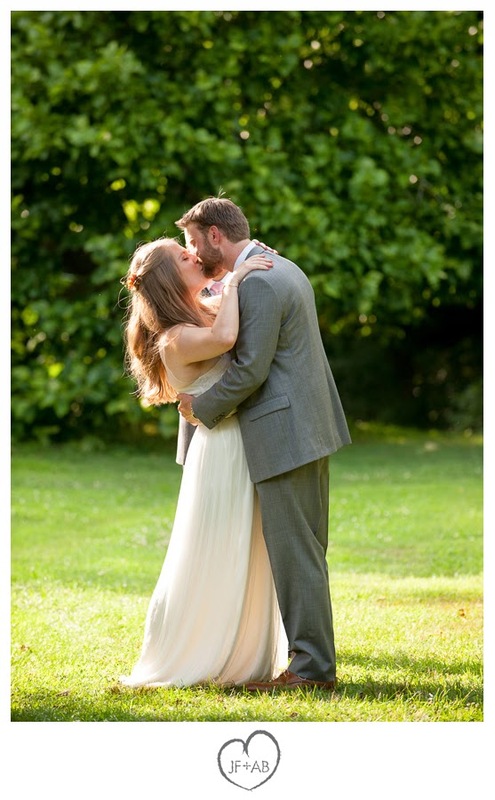 This really helped us stay within budget -- we hadn't been sure we would even be able to afford a photographer, but it worked out perfectly! 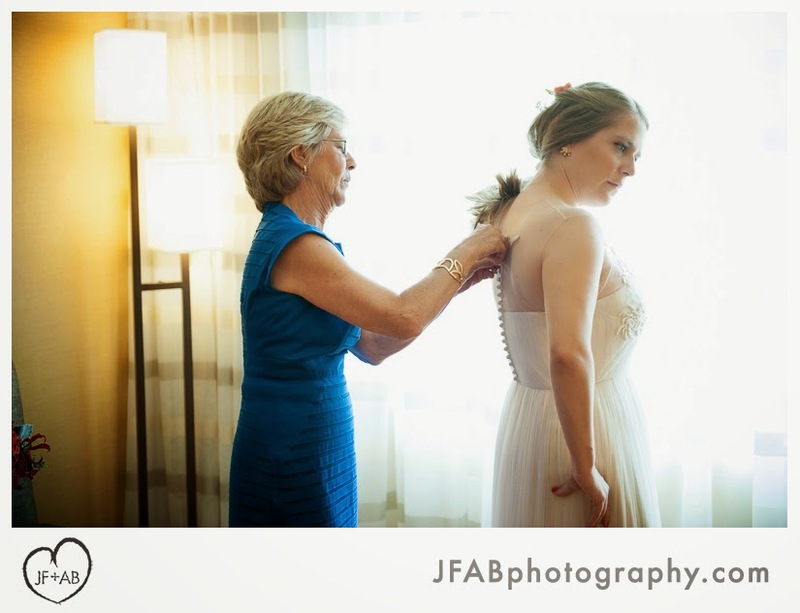 I would recommend her to everyone! 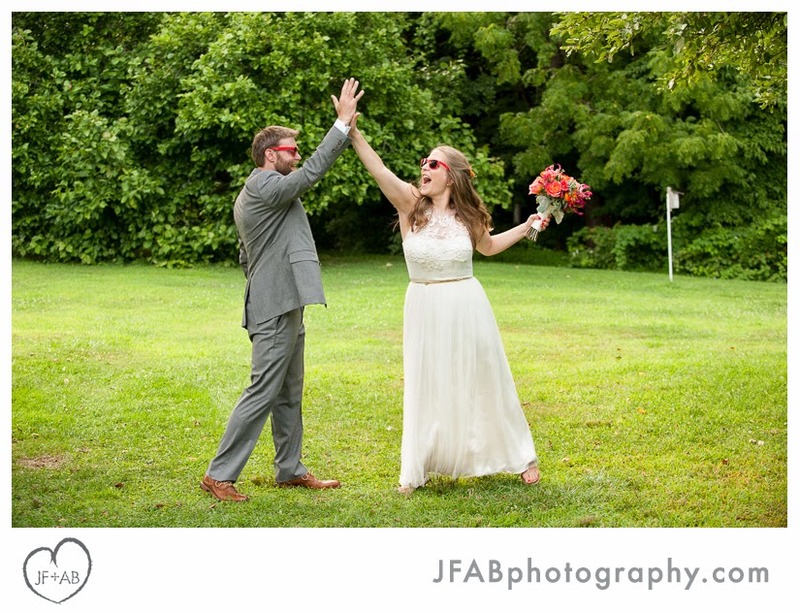 WE COULD NOT LOVE THESE PHOTOS MORE!